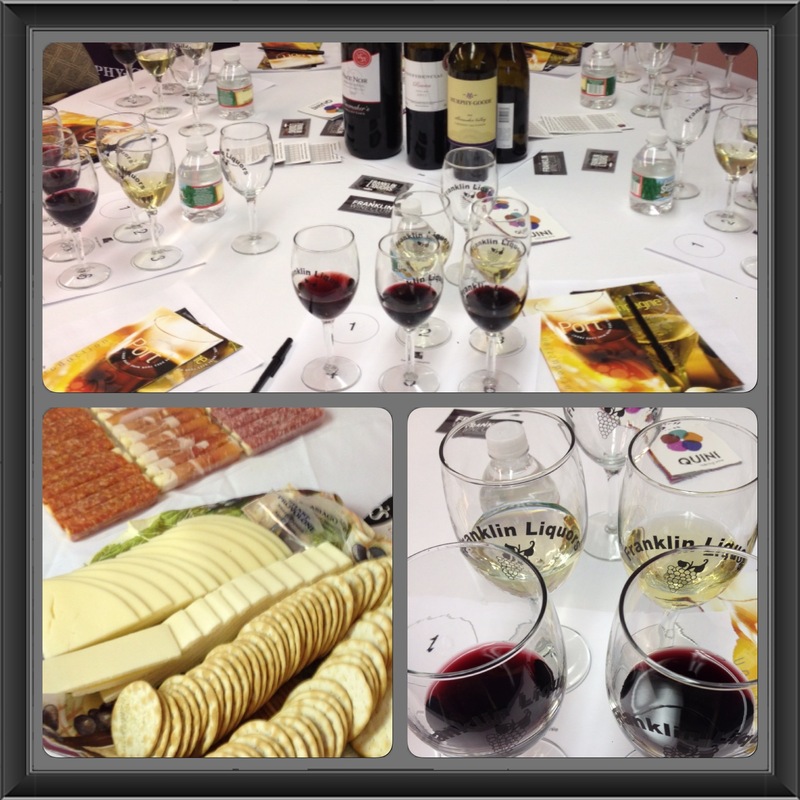 Last Week We Listed Our Wine Tasting/Education Events. This Week We Want To Talk About The Private/Home Events We Offer. Our Wine Room Seats 6-40 For Private Events Or We Can Come To Your Home. We Would Love To Do A Wine Event For You. 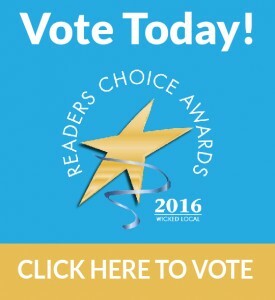 Our Family Would Love Your Support In Voting For Us As Your Favorite Liquor Store. 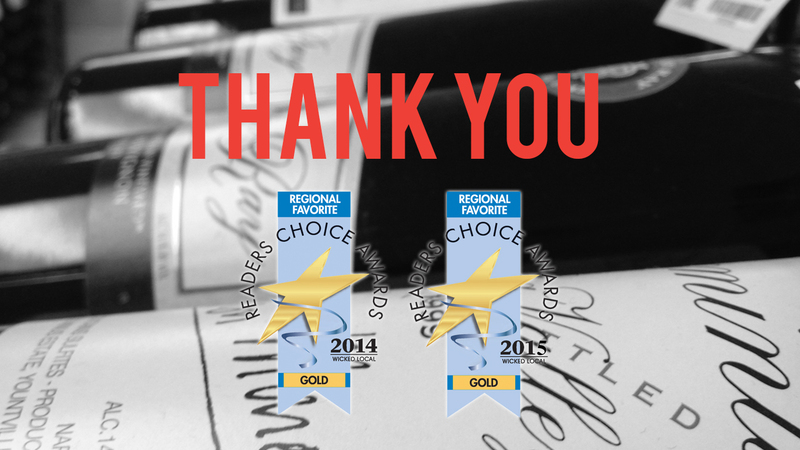 Thanks To You We Have Been Voted Best(Gold) In Franklin AND 16 Town Region In 2014 AND 2015. We Thank You For A 2016 Vote. Italian Wine From New Zealand? When 85-year-old shop owner John Grande decided it was time to retire, one of his store’s biggest assets was its full liquor license. 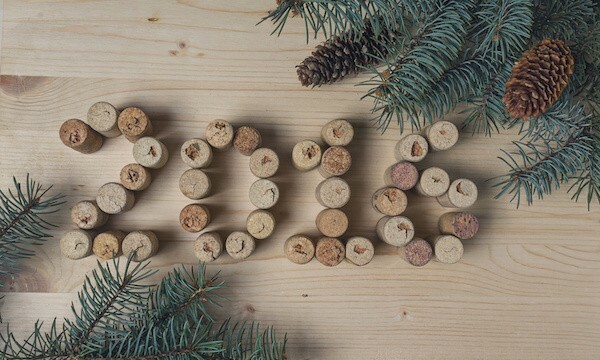 While you are in the midst of sticking to your New Year’s resolutions here’s a fun one you can file under Personal Growth: Drink Wines You’ve Never Tried Before. Instead of a protein shake, how about a beer? 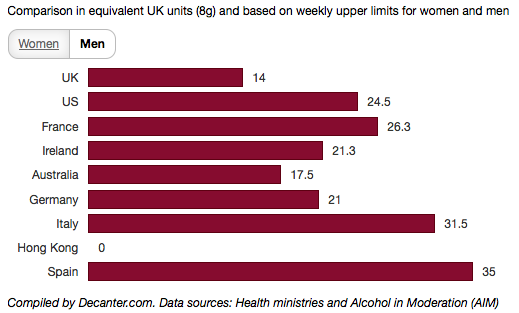 We keep hearing about the benefits of drinking red wine. Why not grape juice instead? It has the same benefits, plus no alcohol. List of the 11 oldest breweries still operating in the country. 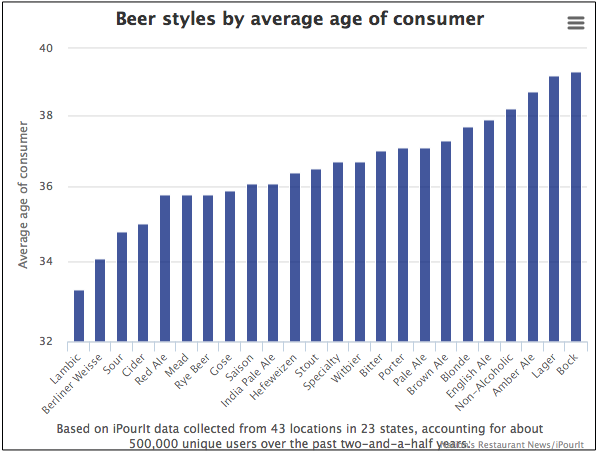 Super-old beer makers, we salute you. It’s our favorite time of year once again—Girl Scout Cookies are here! 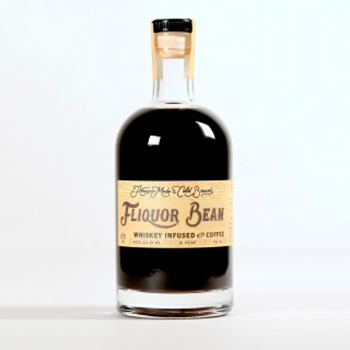 Fliquor Bean is distilled in California using organic coffee and American whiskey. A suspect thief who specialized in high-end wine theft was nabbed in Rhode Island and is being held as a fugitive for Connecticut. A Patriot Place restaurant hit with a 10-day liquor license suspension by the selectmen has appealed the ruling. A plan to transfer a retail liquor store license from Cotuit to Hyannis was approved Monday by the Barnstable Licensing Authority, despite strong opposition from several competing businesses. A growing number of wine-preservation systems, from $10 plastic pumps to $300 devices, promise to give oenophiles days or weeks to drink a bottle. But do any of them work? Now go out and grab the first box of wine you see at the local liquor store, because you have everything you need to make it taste great. Heaven Hill Brands’ Deep Eddy Vodka is extending its flavored lineup with the launch of Deep Eddy Peach. Made with real peaches, the new entry is slated to roll out nationwide this February, priced at around $19.99 a 750-ml. Deep Eddy Peach marks the sixth expression in the brand’s portfolio, joining existing Straight Vodka, Lemon, Ruby Red Grapefruit, Cranberry and Sweet Tea. An Impact “Hot Brand,” Deep Eddy currently sells more than 700,000 cases annually in the U.S. 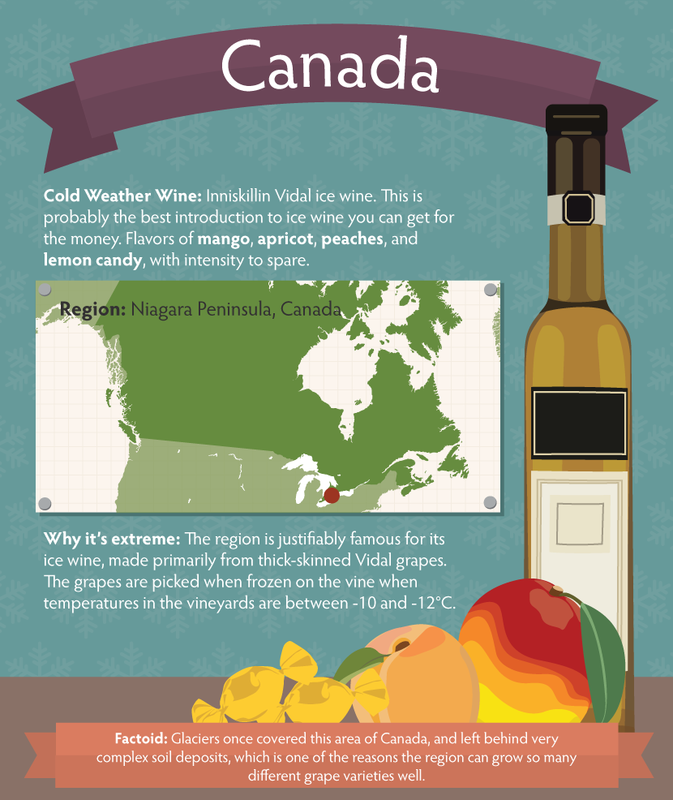 Grab a glass of your favorite cooler- region wine, don a sweater, and take a virtual trip with us to the wine world’s chilly extremities. 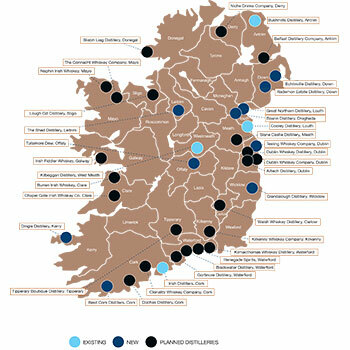 There are now 32 new or proposed distilleries across Ireland – we take a look at those set to shake up one the most exciting areas of the spirits industry, Irish whiskey. A 40-year study made by teams at Harvard and the University of East Anglia has found that middle aged men who drank and ate foodstuffs such as red wine, berries and citrus fruits that are rich in ‘flavonoids’ were 10% less likely to develop erectile dysfunction. Nitro beers are having a moment right now. Joe Bastianich, restaurateur and host of CNBC’s Restaurant Startup, shares some advice on how to order wine at a restaurant. 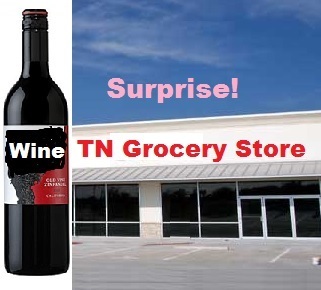 The retailing trend is to go online, but the Internet-based Second Glass plans to go in the other direction and open a wine retail shop, something you can’t just do. The mayor has opposed the Boston location. 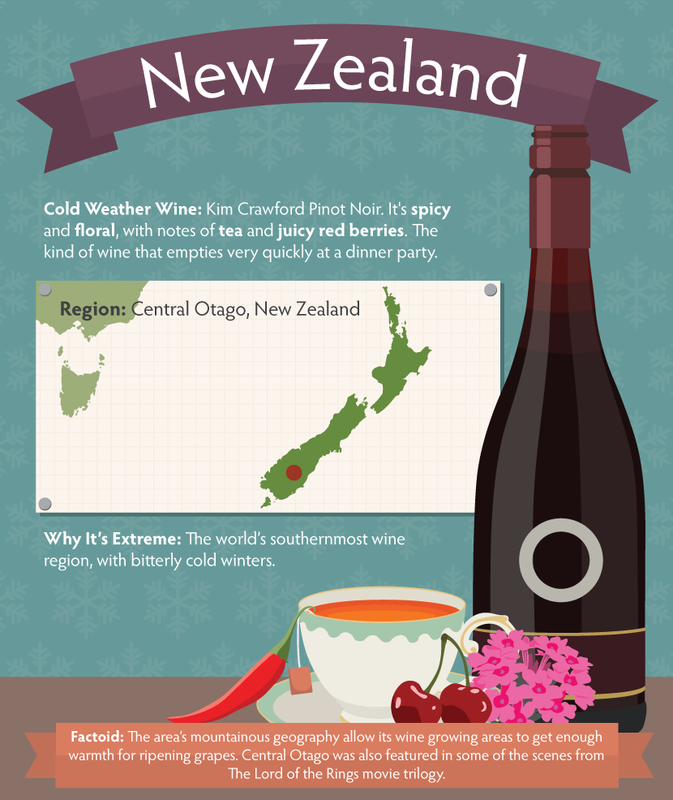 The Best Italian Wine Comes From… New Zealand? 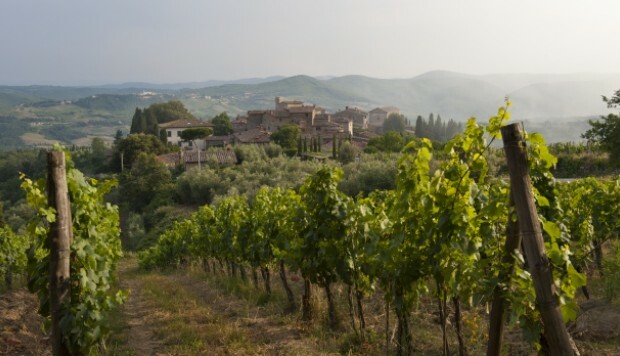 You don’t have to go to the source to drink world-class Sangiovese or Montepulciano. Turns out, some of the finest Italian wine is made in Middle-earth. 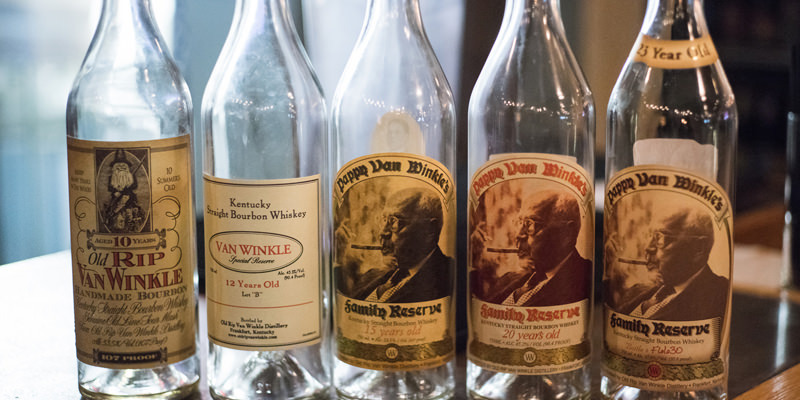 WHAT’S THE DEAL WITH PAPPY VAN WINKLE? Like the thousands upon thousands of people on Pappy waiting lists, we realize we have no chance of getting the storied bourbon. 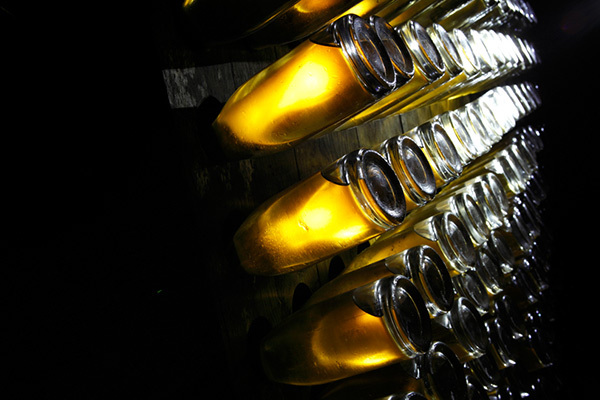 Disgorgement dates indicate the date the champagne was cleared of its lees. 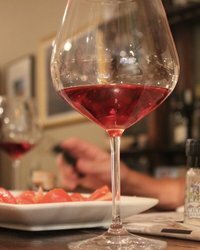 Vintage Variation: What Does It Mean for My Wine? Do you hear people talk about “good vintages” and wonder what it means? Super Tuscans came into being during the 1970s, when rebellious winemakers in Chianti, in Tuscany, began to experiment with different types of grape. 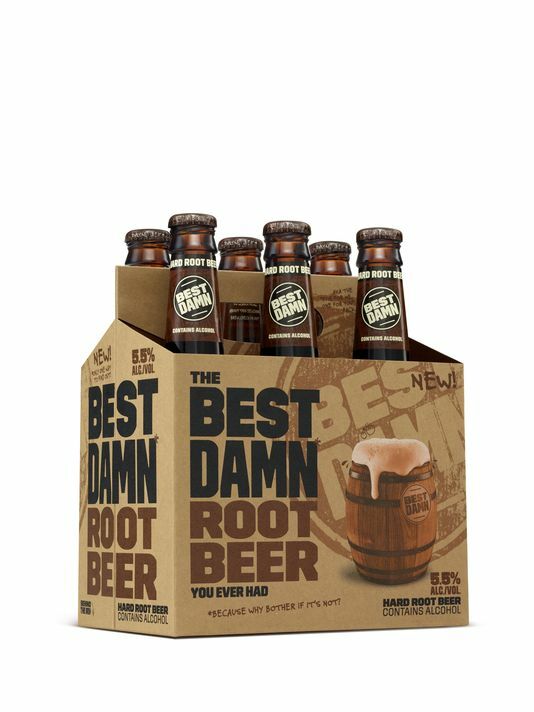 Known to some as the most popular craft beer in 2015, hard root beer has gained traction in the market and grabbed the attention of many. Join Our 290 Club Members! Just in time for Valentine’s Day. Chocolates and wine pairings&..bring your sweetheart, your BFF, your neighbor and join the good folks from the Sugar Shoppe and Franklin Liquors for an evening you won’t soon forget! Explore the world of decadent chocolate and a minimum of 6 fabulous wine pairings. There is simply nothing better. The Sugar Shoppe’s Courtney Nappa and Franklin Liquor’s Mark Lenzi will show you the way for this educational sit-down tasting. And, a portion of your registration will go towards helping someone in need through the Sugar Shoppe, a local non-profit candy store working with local businesses to help raise money for homeless moms and kids in joint community efforts. 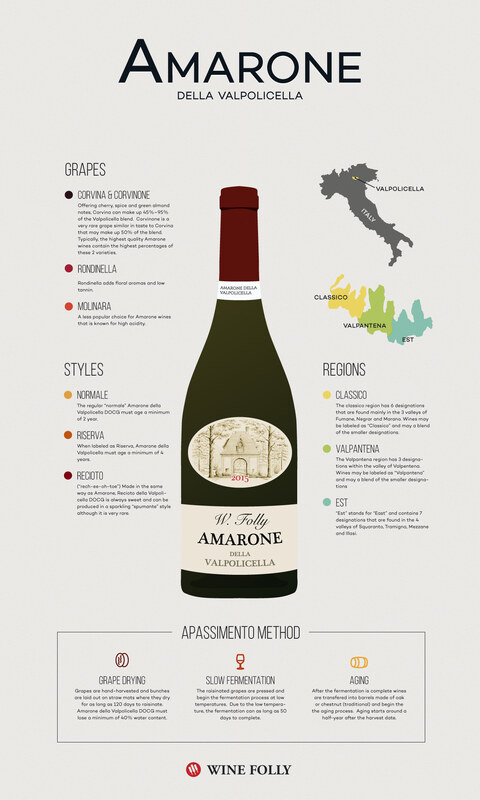 This wine tasting education will leave you comfortable and excited about wine. We will explore how to taste wine and the process involved which will make you a better wine taster and buyer. 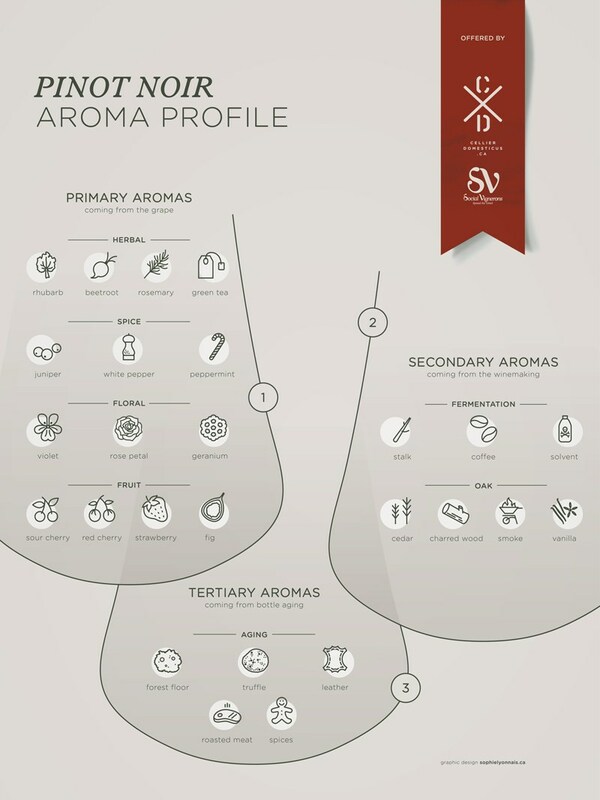 What is aroma? 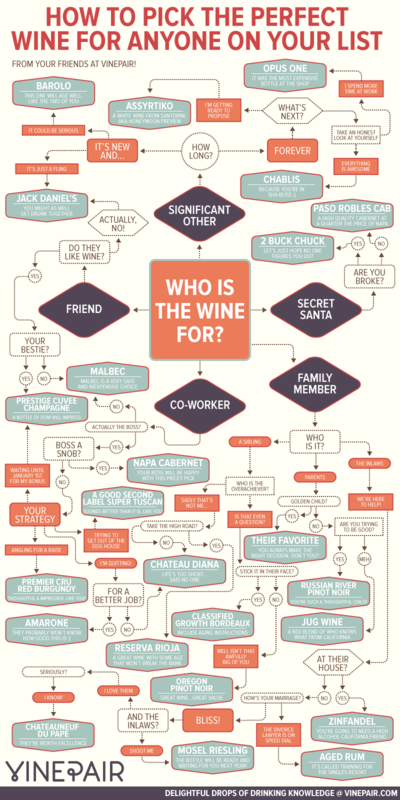 What is your wine style? 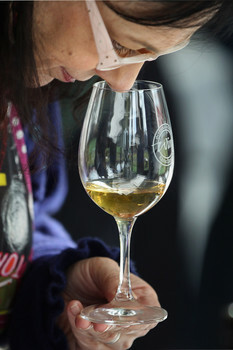 After swirling, sniffing and tasting, your wine world will be open for exploration. Participants must be 21 years of age. Yes – fudge and wine pair together beautifully! This will be a wine tasting/education with the Sugar Shoppe and Franklin Liquors. Explore the world of fudge and a minimum of 6 fabulous wine pairings. The Sugar Shoppe’s Courtney Nappa and Franklin Liquor’s Mark Lenzi show you how during this educational sit-down tasting. A portion of your registration will go towards helping someone in need through the Sugar Shoppe, a local non-profit candy store working with local businesses to help raise money for homeless mothers and children. Participants must be 21 years of age. 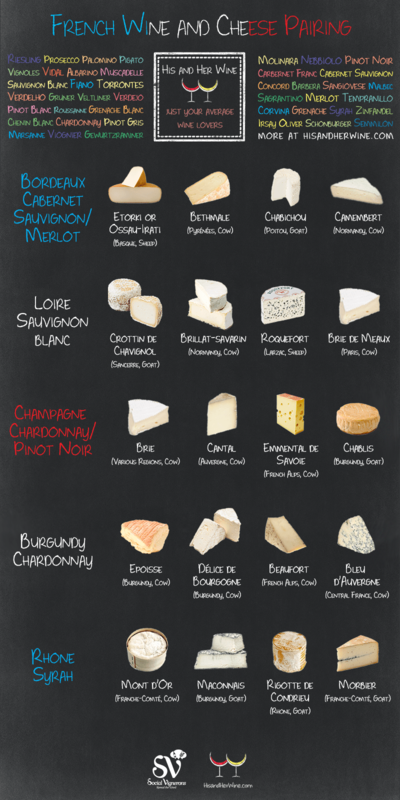 Explore the world of truffles and a minimum of 6 fabulous wine pairings. The Sugar Shoppe’s Courtney Nappa and Franklin Liquor’s Mark Lenzi and show you the way for this educational sit-down tasting. Many people buy wines based on label only. Do you? 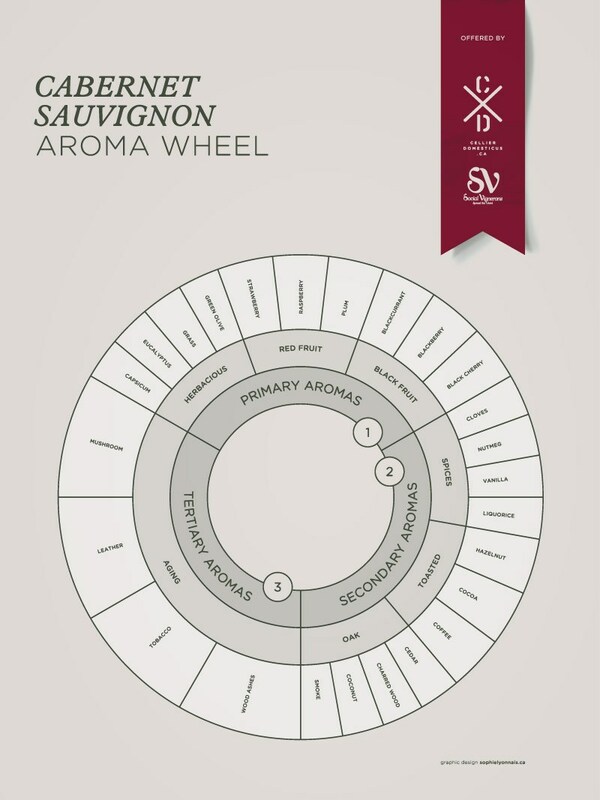 This sit down wine tasting/education will explain all the truths and lies on a wine label. 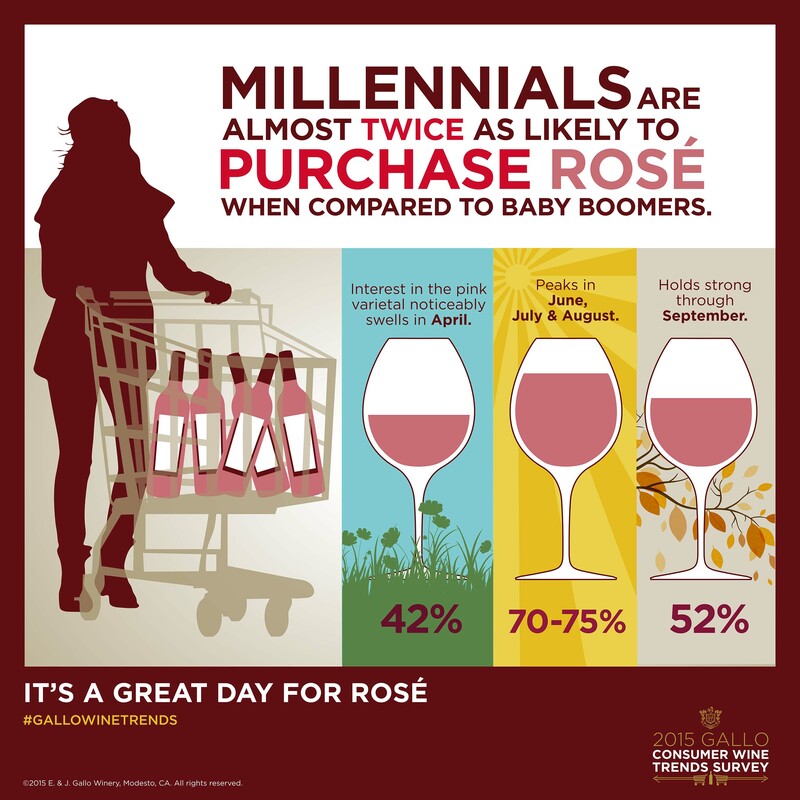 Knowing this information will help you get more value for your money with shopping for wines. What is in this bottle? Is this organic? After this event buying wine will never be the same! 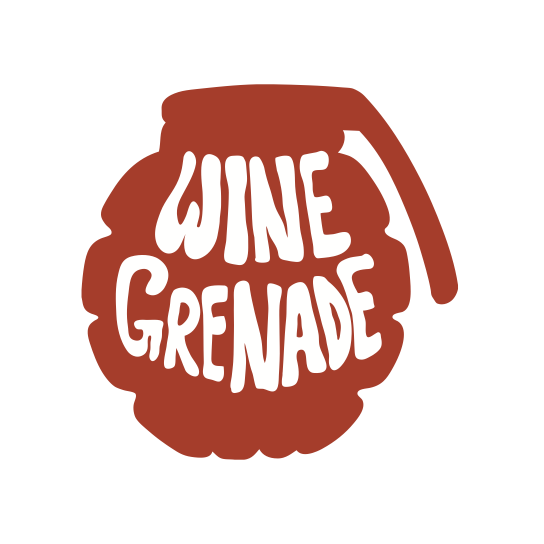 We’re an independent wine education and event company, providing unique classes, wine tasting events and personalized consulting. 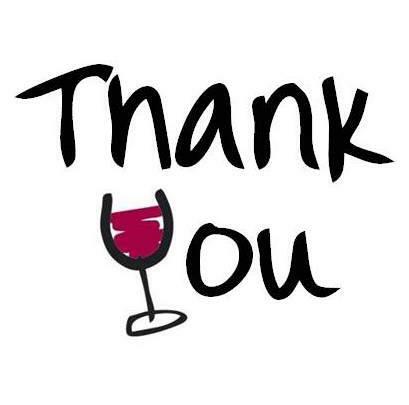 As a professional with a dozen years in the wine business, my favorite part of the job was helping people just like you pick out a great bottle. I’m excited to help you learn about wine in a relaxed environment where you can ask any question, no matter how small or basic. 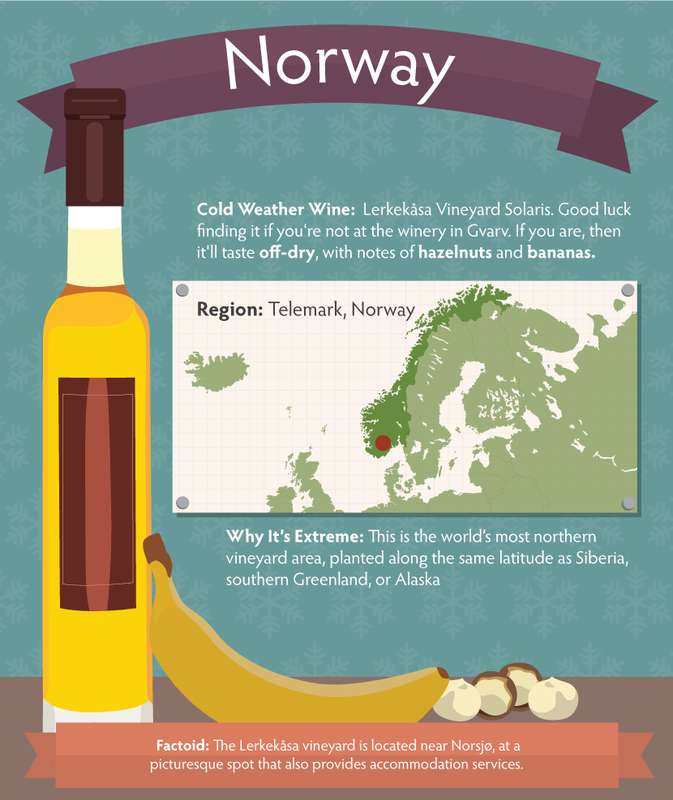 The best wine maps in the business!! 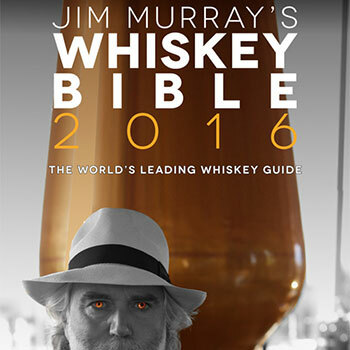 Get your complete wine tasting guide disguised as a notebook. Over 100,000 copies sold worldwide! 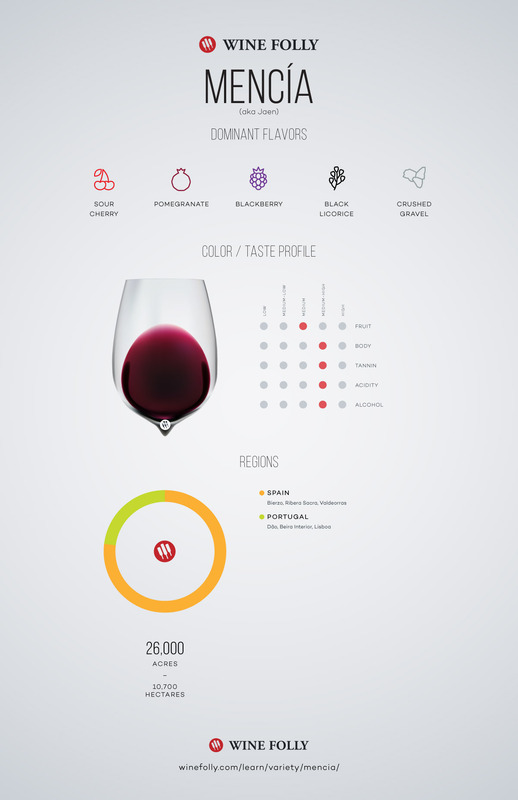 Great wine educational and tasting app. Every wine we taste and stock is on Quini. 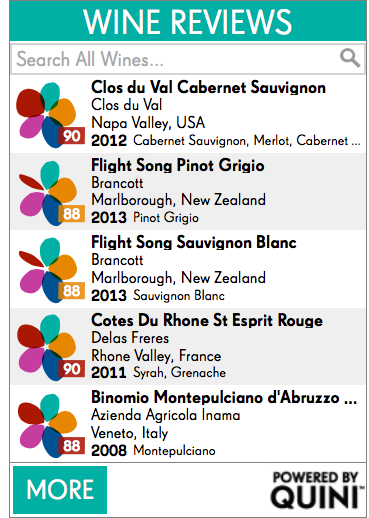 Tell us what you think by rating the wines. See And Search Our Latest Reviews! 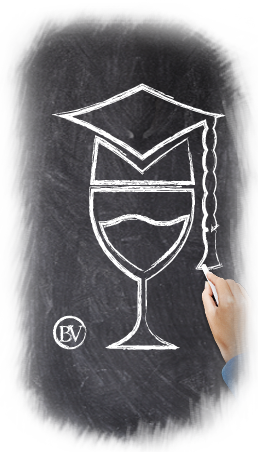 Our 2016 Education/Tasting Events Are Filling Up Fast! Gong Into Our 3rd Year We Now Have 300 Members! This Year We Will Continue With Special Guests And Wines. 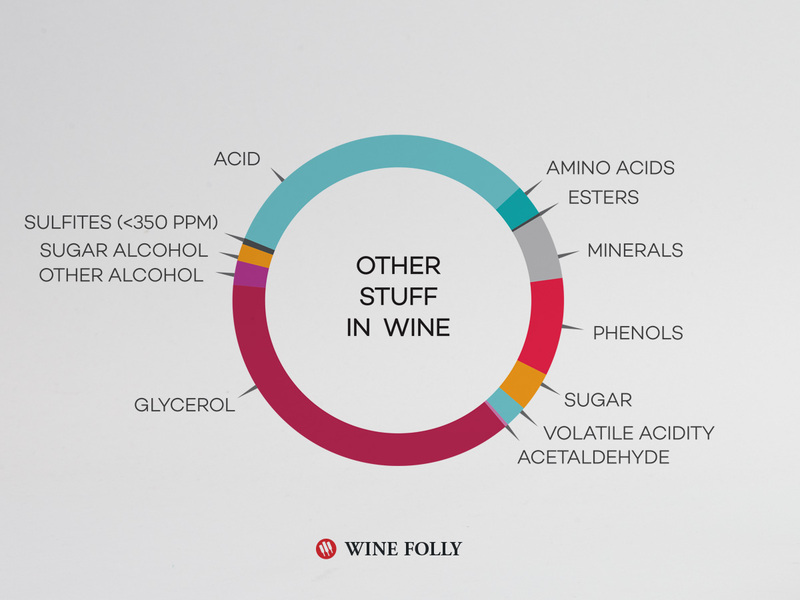 What’s Really In A Glass Of Wine? 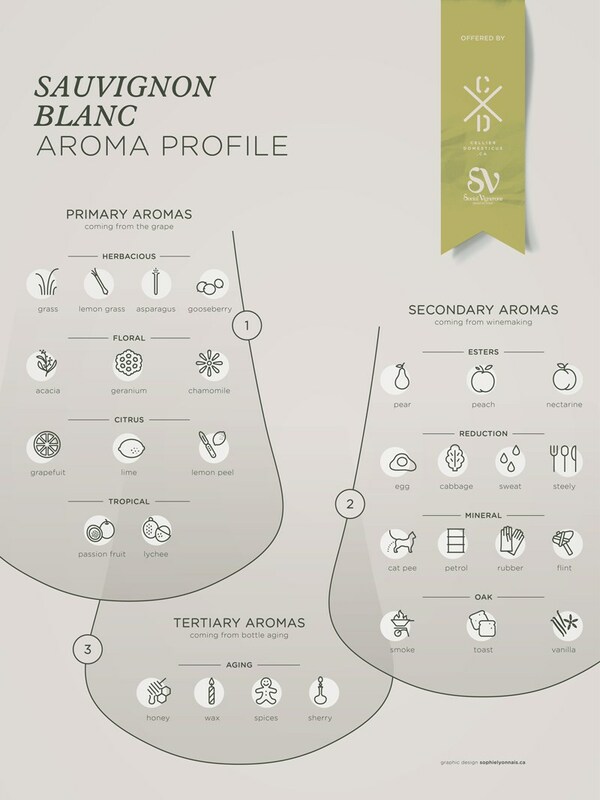 Do you Know the Biotech Processes behind Wine and Champagne? 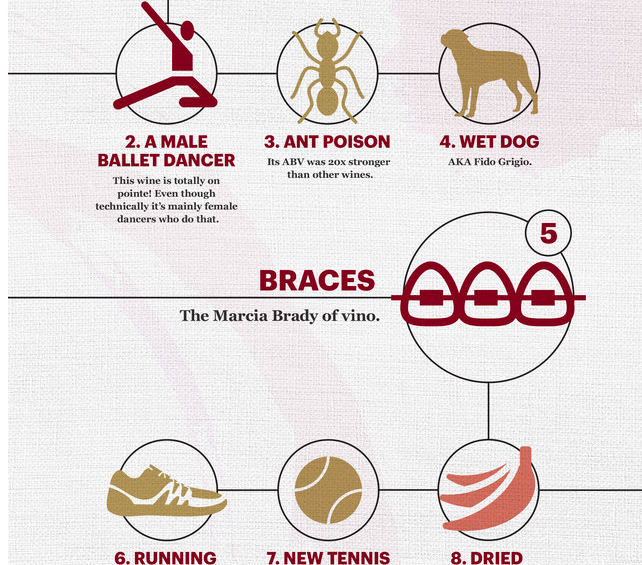 Ever wondered what alcohol does to your appearance? 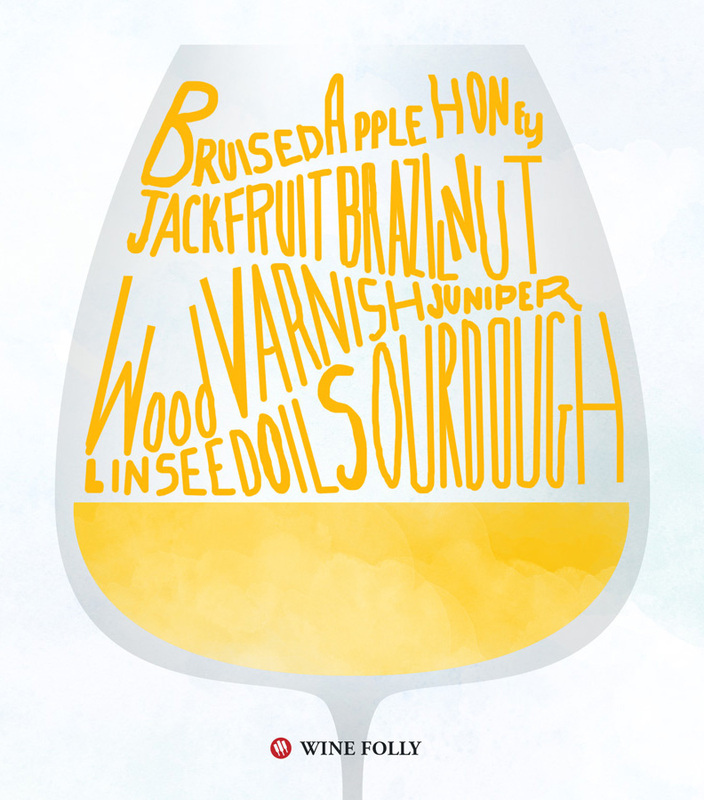 The subject of natural wines is a very subjective one. Who defines what “natural” means? The adventurous wine-lover should head to Baja California, Mexico’s preeminent wine-making region. If the New Year’s Eve celebration got a little out of hand, and you have some opened bottles that lasted longer than your guests, fear not: There are still plenty of delicious ways to keep the party going. Will France’s new wine regions threaten Champagne tradition? Champagne producers are among the most vociferous opponents of a rule that comes into force on New Year’s Day, and which should open up new French wine regions for the first time in nearly a century. A bar dedicated to Seinfeld character George Costanza has opened in Melbourne, with the actor that played him giving his seal of approval to the venture. 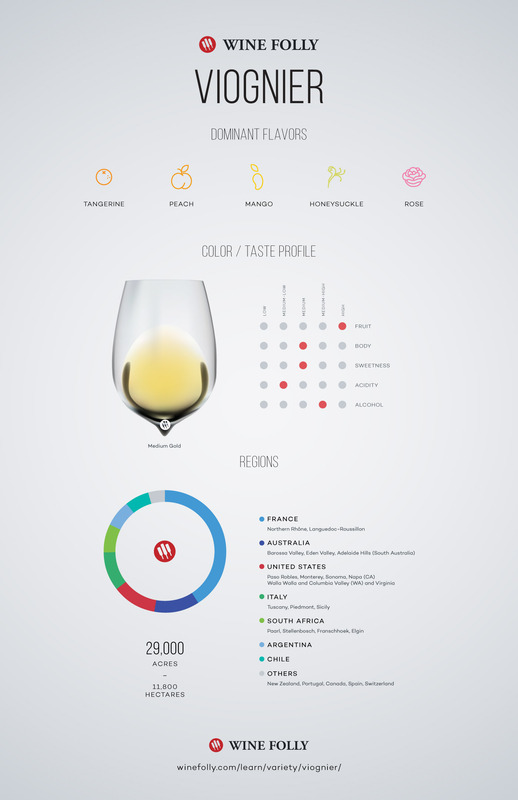 Using a grape variety on an American wine label is not mandatory, but many winemakers choose to do so for several reasons, such as perception of quality to the consumer. 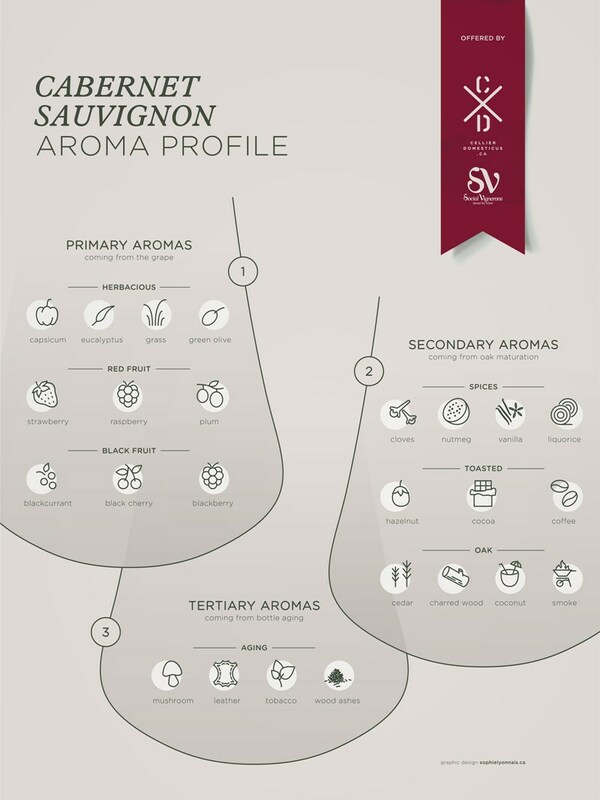 Using or naming the variety on the wine label may also convey a better story about what is in the bottle. Auction circuit darling Ornellaia has spent decades forging a reputation as one of Italy’s finest wines. 2016 Top 20 Wine Influencers: Who to Follow on Social Media? I’ve got another news for you as we start the new year, the importance of social media for wine is not going to decrease in 2016 either. 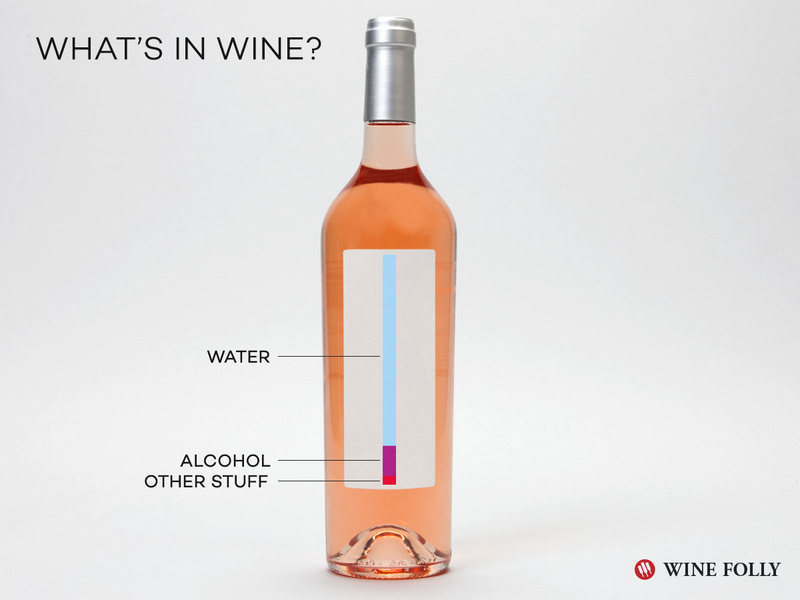 What’s Really Inside A Glass of Wine? Is it really just grapes or are there other ingredients added to make it taste the way it does? 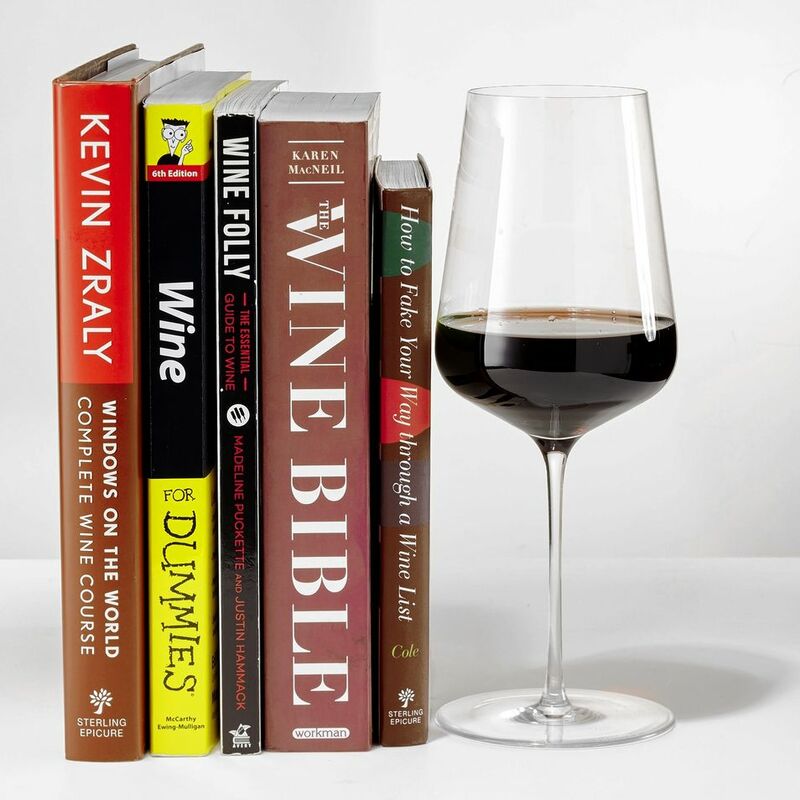 From fresh editions of classic reference tomes to scratch and sniff guides for beginners, 2015 saw the release of titles to suit every wine-loving bookworm. 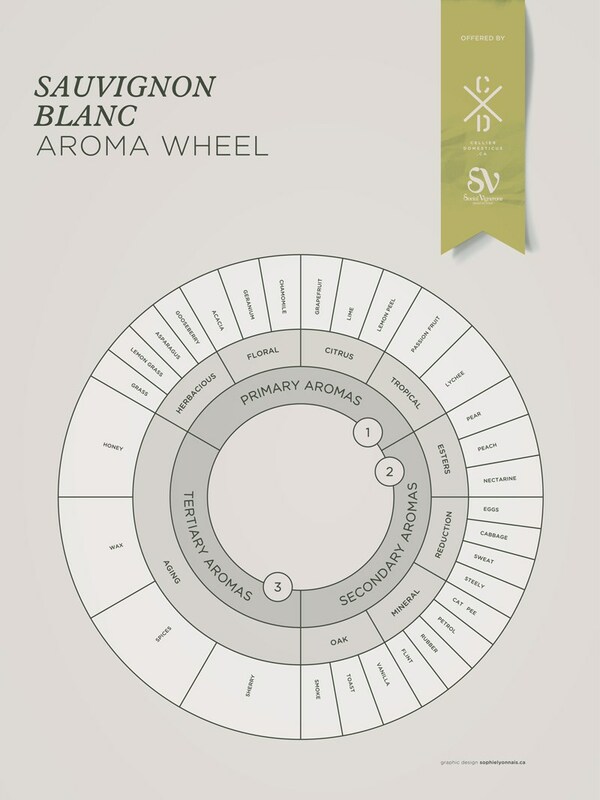 Research and anecdotal evidence have started to show that some finished white wines have increased copper concentrations as well as the reductive characteristics caused by the very compounds the copper is supposed to eliminate. 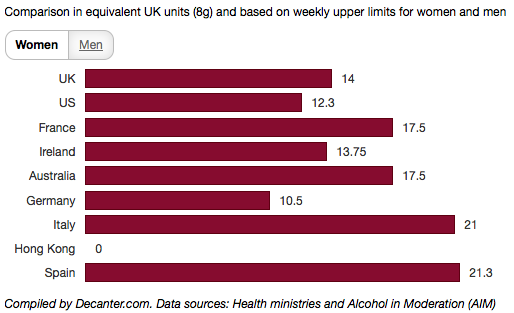 Alcohol creep madness: Is is really worth getting upset over these label versus actual differences? 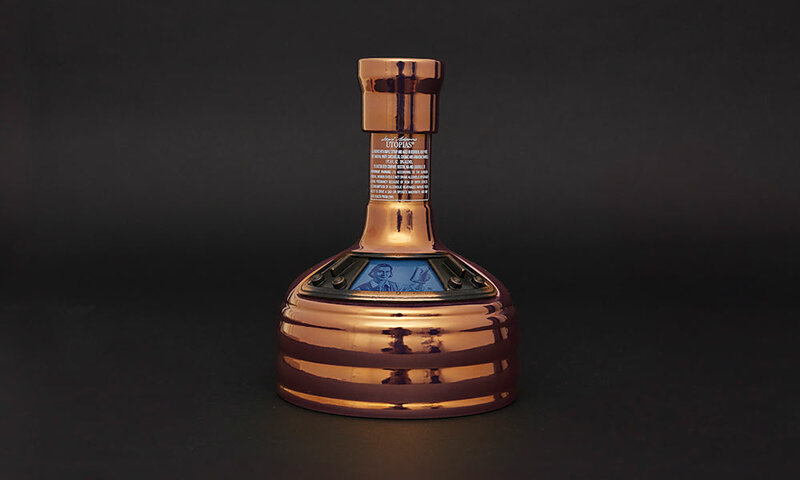 Created by at-home entertainment group Bernooli, the system features patent-pending Bluetooth ‘smart spouts’ that automatically measure each pour as guided by the Bernooli Cocktail Discovery App, described as a “cocktail library”. These American wineries buck the trend by offering high quality Pinot Noirs for $30 or less. 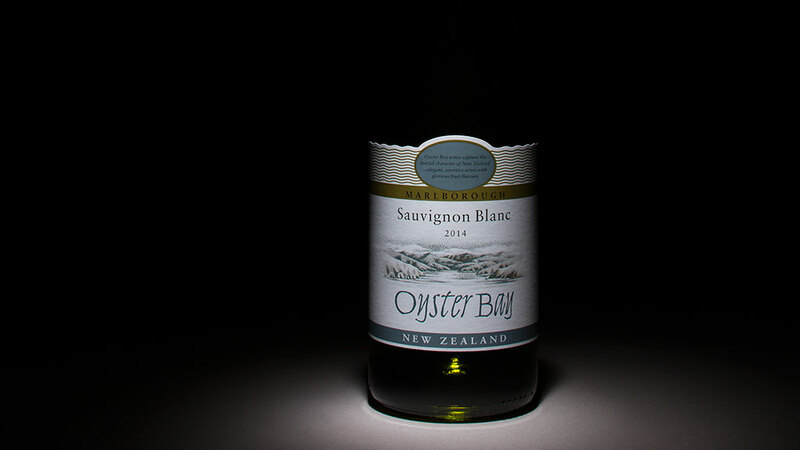 In export markets, figuring for 90% of its output, the Oyster Bay brand is positioned by local sales teams that can outdo larger international rivals. 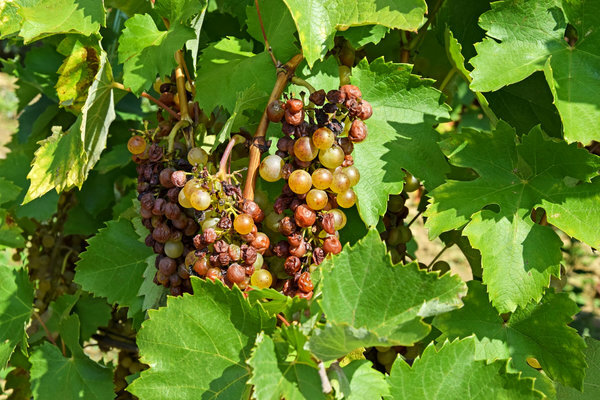 Viognier (“Vee-own-yay”) is a full-bodied white wine that originated in southern France. 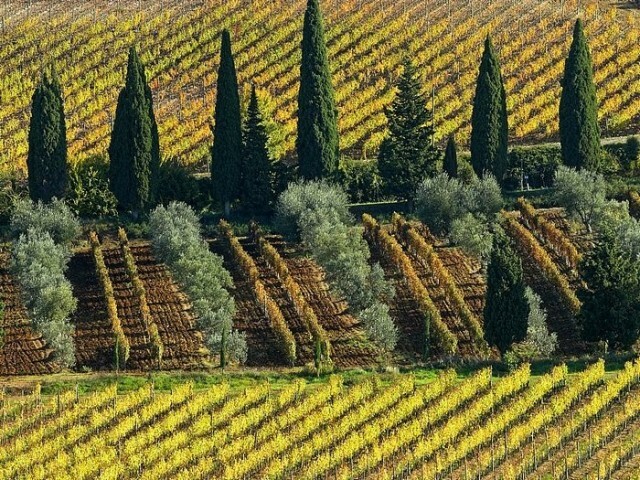 The Chianti Classico region is about 100 miles of land between Florence and Siena. If you’ve ever found yourself wondering whether you prefer French or California Chard, or perhaps how Chardonnay from Washington compares to Australia, keep reading! Castle Island Brewing first opened its doors on Dec. 11, selling batches of its Candlepin, Keeper IPA and TBD Hoppy American Stout in four-packs of 16 oz. cans directly to tasting room visitors. There are a few things that I have learned that may (or may not) be of use as you try to plan your own event. 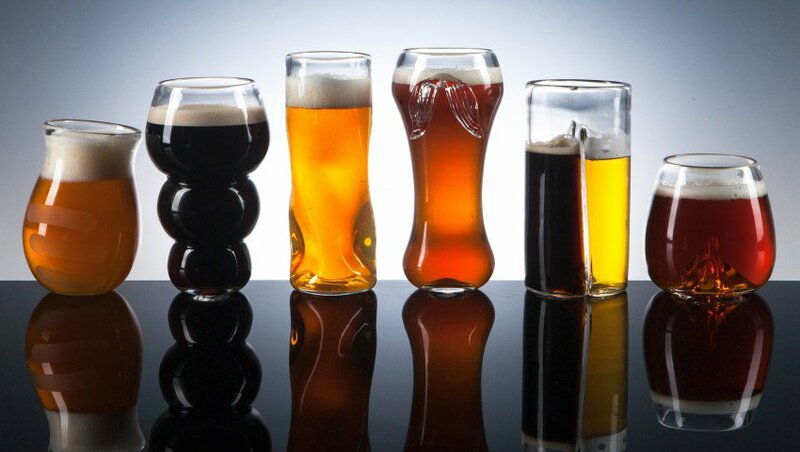 It’s absolutely possible to enjoy a pint without worrying about pairing it with the “right” food or serving it in the “right” glass. As long as you’re enjoying yourself. Delaware’s Dogfish Head has detailed plans to release six new entries and bring back six returning favorites in the coming year. Among the newcomers are Flesh & Blood and Romantic Chemistry (a spring seasonal), both billed as fruit-forward IPAs; Belgian-style Tripel Beer To Drink Music To; herb-infused saison Bière de Provence; Seaquenchale, a hybrid of the Kolsch, Berliner Weisse and Gose styles; and Beer for Breakfast, a winter seasonal brewed with Delaware scrapple. Returning Dogfish entries for 2016 will include Squall IPA, beer-wine hybrid Red & White, 120 Minute IPA, Punkin Ale, Pennsylvania Tuxedo and World Wide Stout. Concurrently, Dogfish Head will also be removing its Sixty-One and Tweason’ale labels from its 2016 year-round lineup. 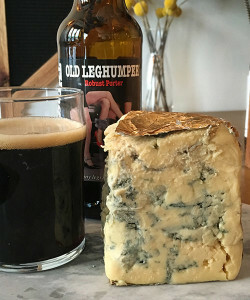 It’s perfect time to look at some new beers – albeit ones from 2015. Even though it has fallen off over the past few years, growth in American wine consumption has been ongoing for 22 consecutive years. 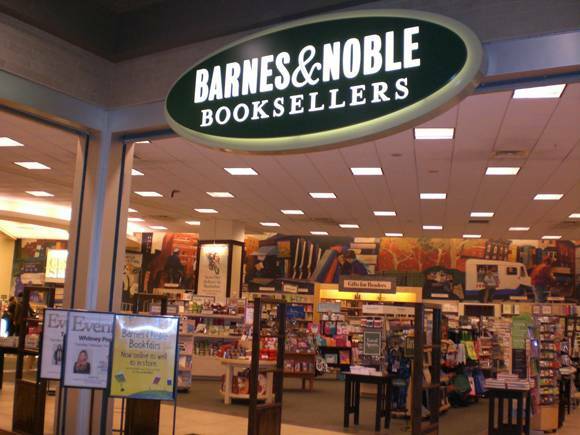 Find Out Where You Can Get Boozy With Your Books! 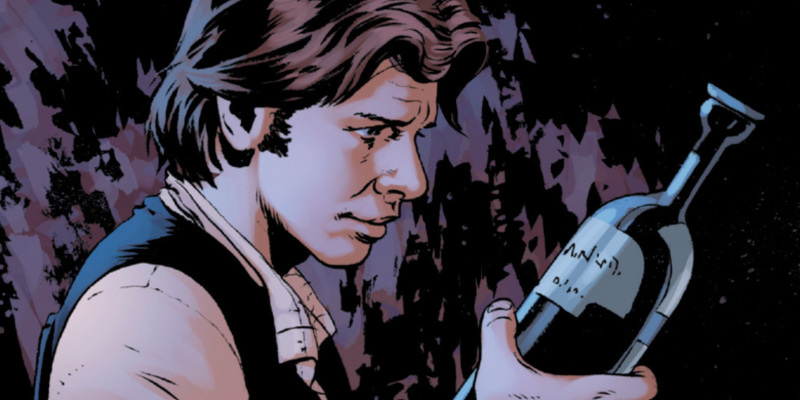 Do you think you know the wine Hannibal Lector drinks or the wine Princess Leia throws in Han Solo’s face? 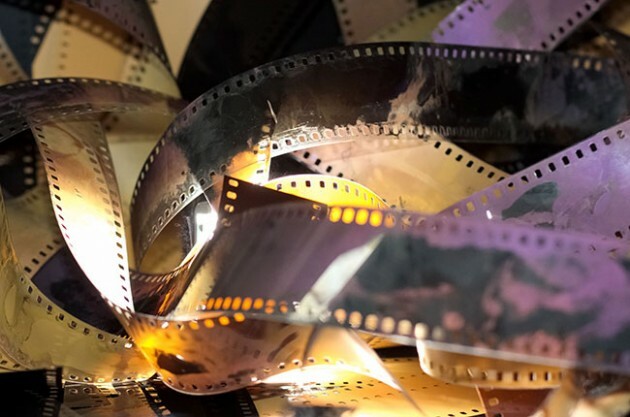 Take Decanter’s wine in films quiz and find out how much of a wine film buff you really are. 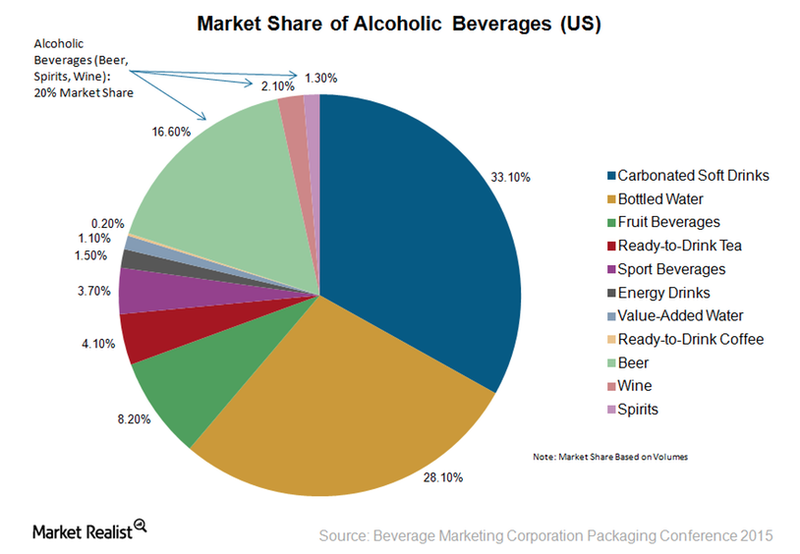 Consumers are shunning carbonated soft drinks, but the hard soda category has plenty of fizz. 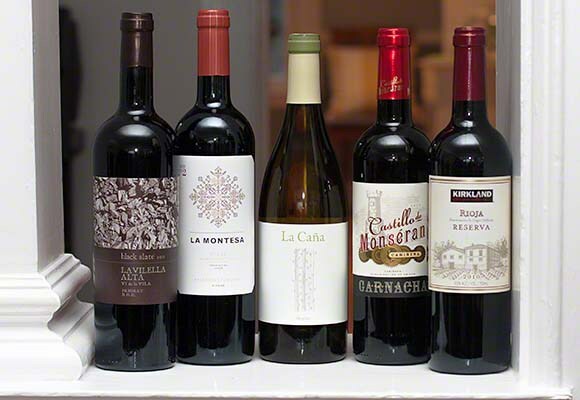 What you get from Navarra is a variety of solid wines at a lower cost than the wines from more-famous Spanish locales. You like lower costs, right? The Clermont-Ferrand University Hospital in France offers a wine bar to palliative care patients and families “to help them relax and speak freely…in an attempt to restore longing, taste, desire and even pleasure. Ten years into its revival, the iconic brewery is hotter and hipper than ever, far beyond the Ocean State. Puglia, in the south of Italy, is an area of great beauty that is better known for its fantastic food culture than its wines. 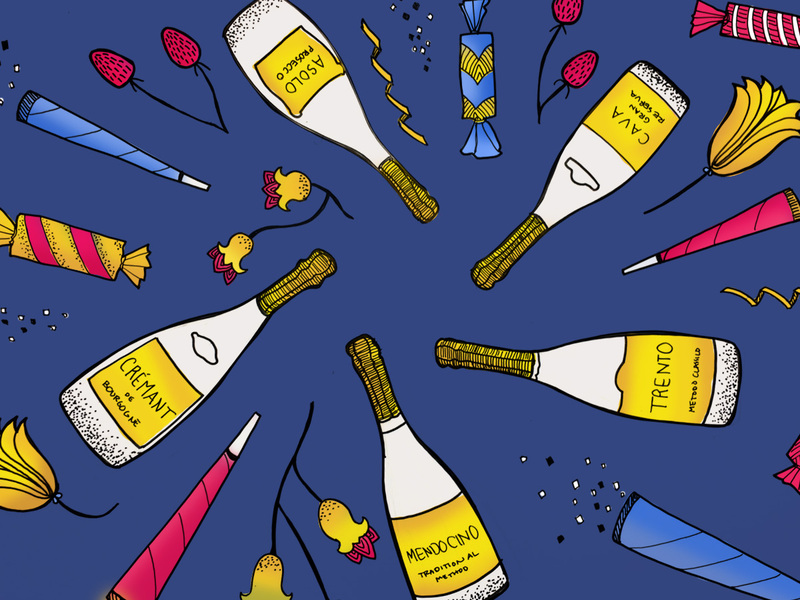 English bubbly to over-the-top wine tours and celebrity brands, Pursuits’ critic Elin McCoy uncorks her predictions for the year to come. 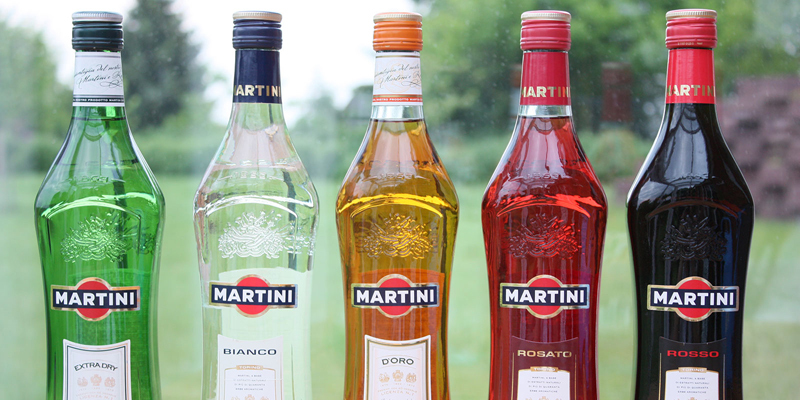 HOW DID THESE SPIRITS BRANDS PERFORM IN 2015? 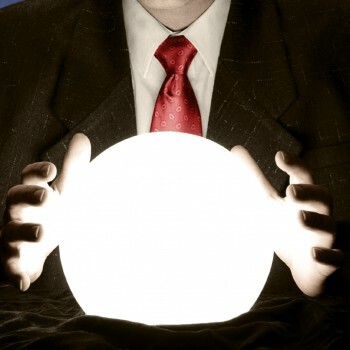 Economic, political and cultural influences steered the course of the spirits world this year, but were the predicted fortunes of our brands to watch in 2015 realised? Sonoma Cast Stone has been designing and manufacturing concrete fixtures in the California Wine Country for 20 years, and their concrete wine tanks were designed in consultation with the winemakers of the region with the expressed purpose was to make the world’s greatest wines. 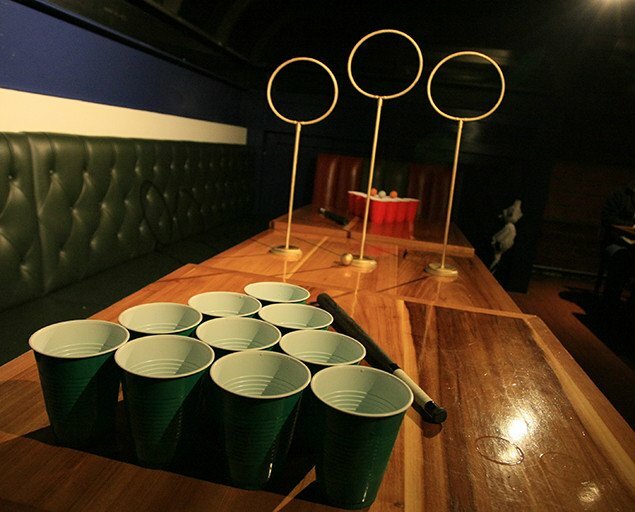 Harry Potter fans are going to want to crack open a few butterbeers and grab some ping pong balls — this Quidditch Pong set looks totally awesome. The drink is also commonly misunderstood. We Are Proud To Now Partner With Vinobly! Work Hard To Focus On Service And Wine Education. 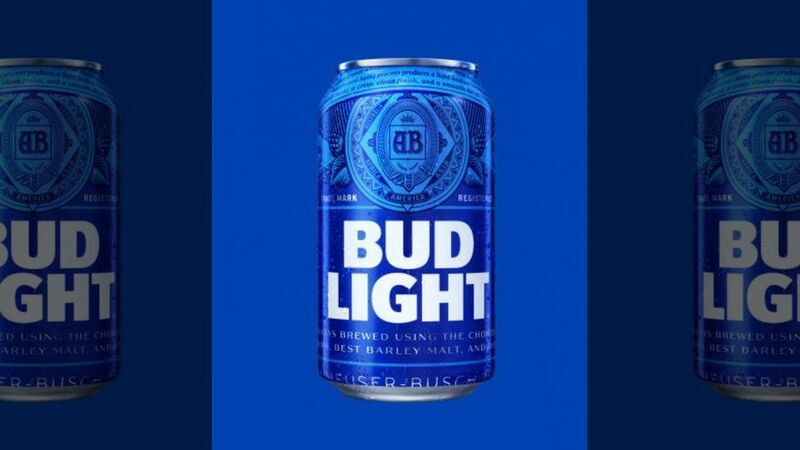 Bud Light is getting a makeover in 2016. The business of investing in wine futures has always been risky. But now, customers of a large California seller are wondering whether they’re victims of an even bigger risk: A pyramid scheme. Chinese food around the holidays is an American tradition. Turkish wine is becoming increasingly popular in the U.S., and in 2016, you’ll be seeing more of it in your favorite restaurants and wine shops. 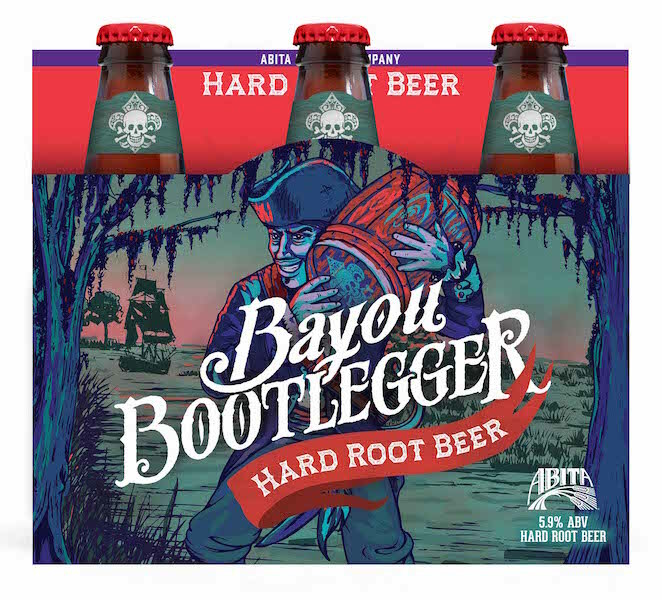 Abita Brewing Company has released an alcoholic version of their famous root beer, the first product in its line of ‘Bayou Bootlegger’ hard sodas. The 16-oz can presents the ability to experience silky, smooth nitrogen-charged beer outside of the pub, even taking that experience to the great outdoors. The Campaign to Regulate Marijuana Like Alcohol took another step forward by gathering almost 71,000 signatures. The Secretary of State’s office verified that only 64,000 signatures were necessary. This question was one of seven ballot initiatives that received enough signatures to move on to the next phase. A second recreational marijuana question filed by Baystate Repeal, did not gather enough signatures to move forward. What happens next? The Massachusetts Legislature has until May 3, 2016 to act on this question. If our Legislators enact a bill by May 3rd the question will no longer appear on the November ballot. If they choose not to enact a bill, the Campaign will have until July to gather an additional 10,000 signatures. 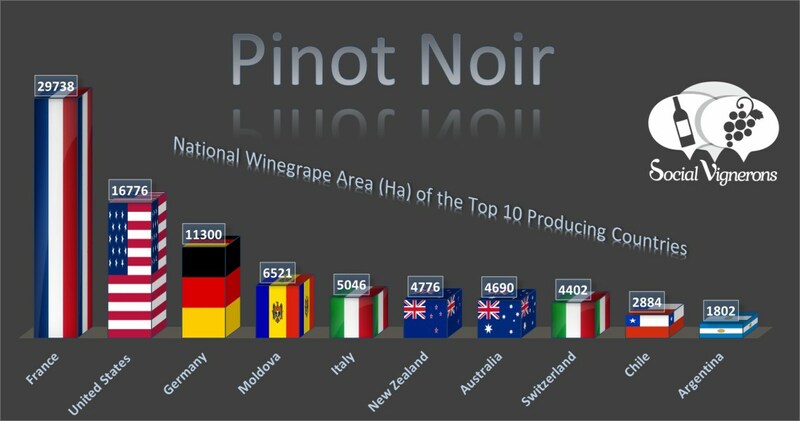 Pinot Noir is certainly one of the most famous red grape varieties in the world, giving birth to many of the world’s most expensive wines. 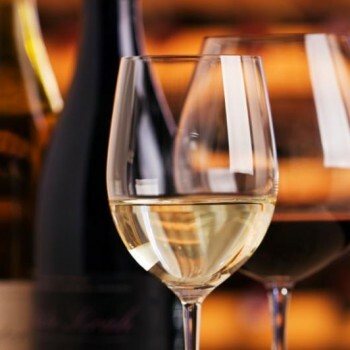 The latest off-premise report from Nielsen indicates that the premium wine segment continues to perform well with consumers trading up for the holidays compared to last year. SakeOne have a great primer for understanding the fundamentals. What’s the difference between Nigori and Junmai? What temperature(s) should Sake be served at? It’s crazy what wine DOESN’T spend on advertising! Tequila is fast becoming the hip spirit among millennial cocktail lovers, but which brands are poised for success in the coming 12 months? Fetzer Wines is pushing the experimentation further, and recently launched “1,000 Stories” Bourbon Barrel Aged Zinfandel. British drinks distributor Matthew Clark has revealed what it predicts will be the six most notable drink trends of 2016. 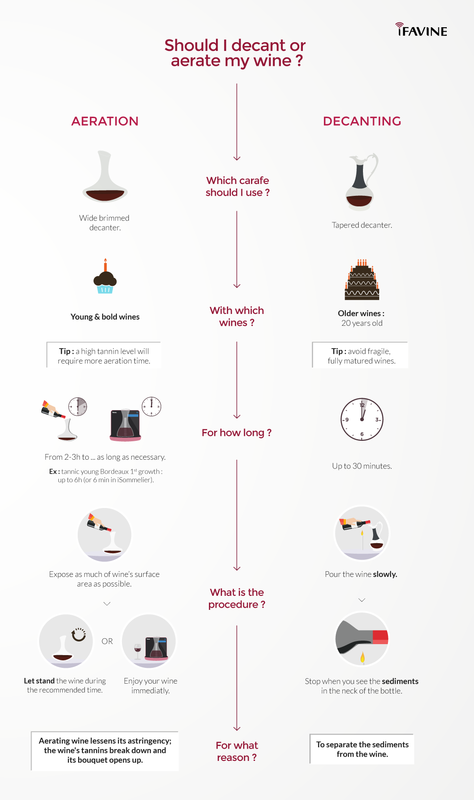 Should you decant your Champagne? The idea has been circulating the on-trade, especially in France, for many years. First thing’s first. 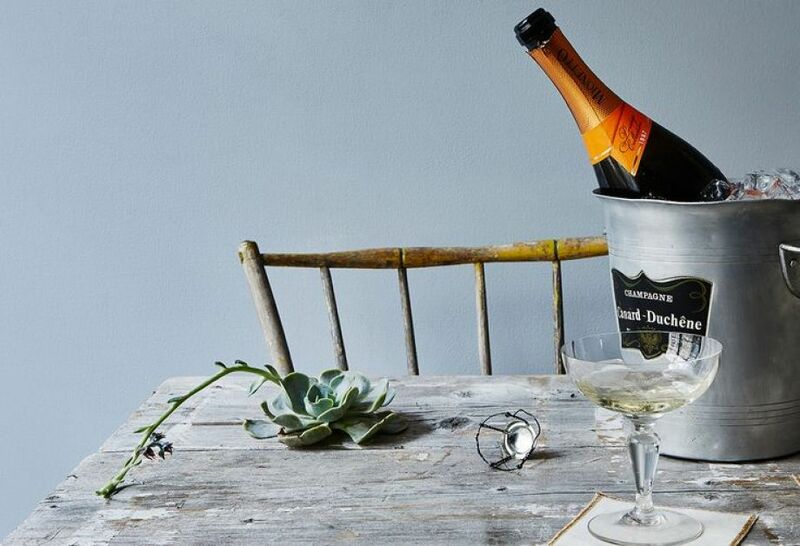 Forgo those fancy retro glasses and use a standard champagne glass, instead. 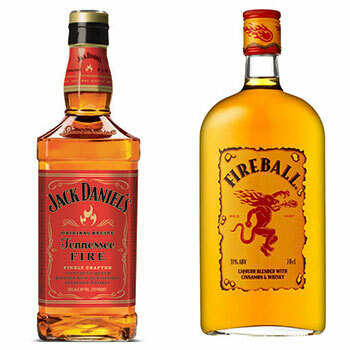 Sazerac Brands LLC told a Kentucky federal court it was voluntarily dismissing its lawsuit alleging Jack Daniel’s Properties Inc. was violating the Lanham Act through the use of ‘Fireball’ in its marketing for Tennessee Fire. 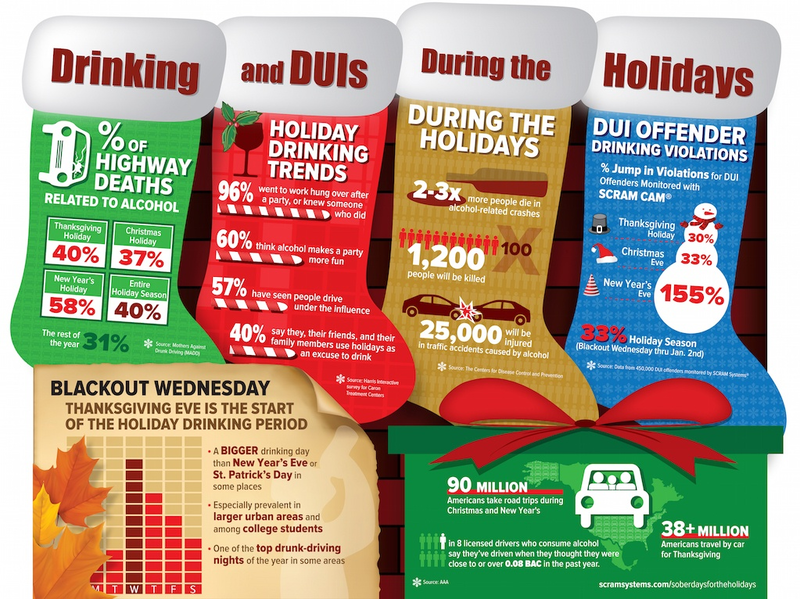 The Consumer Reports National Research Center designed a survey to explore “general sentiment and shopping behaviors” for the 2015 winter holiday season. 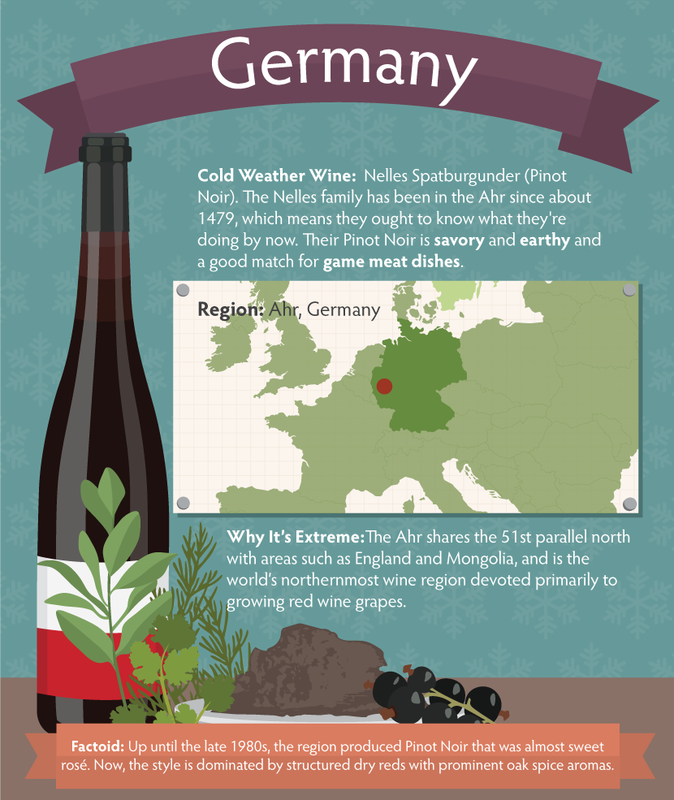 Nowadays, natural wines are all the rage in such culinary capitals as Paris, London, Tokyo, and New York. 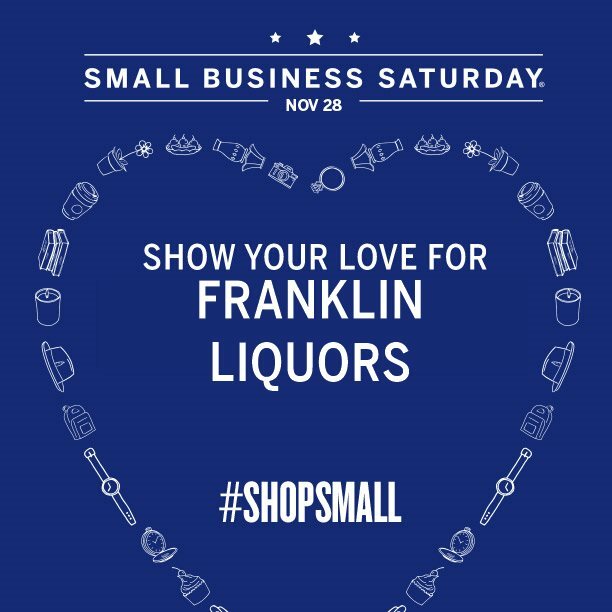 Our friends at Quini mention Franklin Liquors in recent newsletter! Yet another study confirms that a glass of wine with dinner has its advantages, but clinical trials suggest those health benefits also extend to people with type 2 diabetes. The review of a remarkable year. 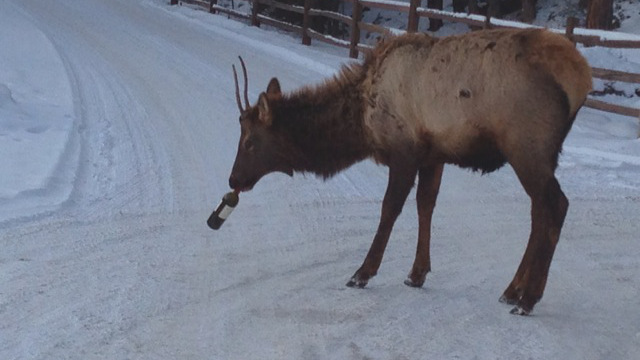 Champagne isn’t the only game in town. In fact, with a little intel, you can find a bottle of bubbly that’s much cheaper than Champagne, but is just as bubbly. 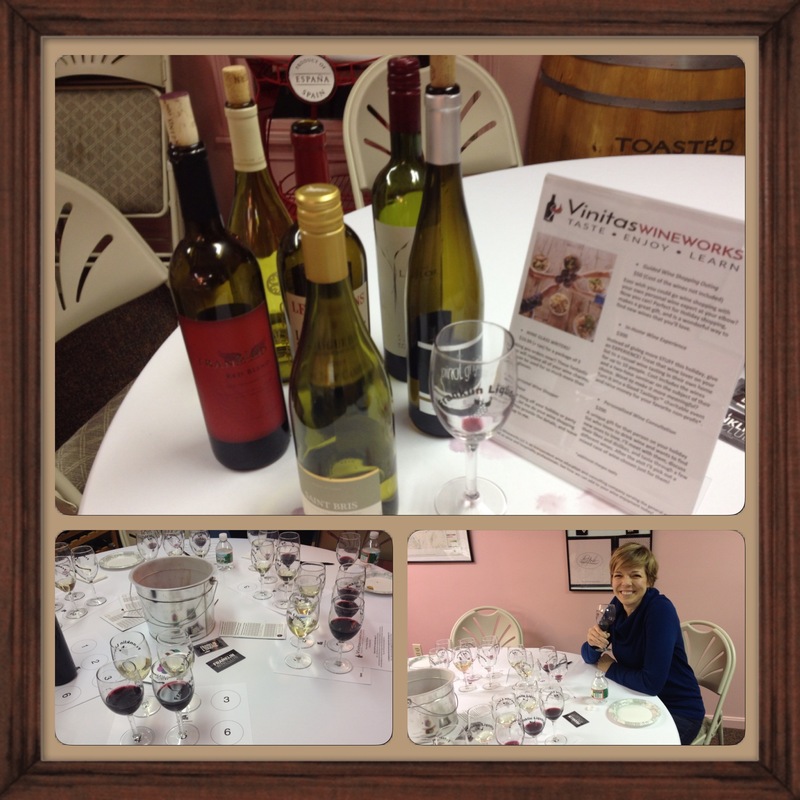 We Love To Do Wine Tastings! 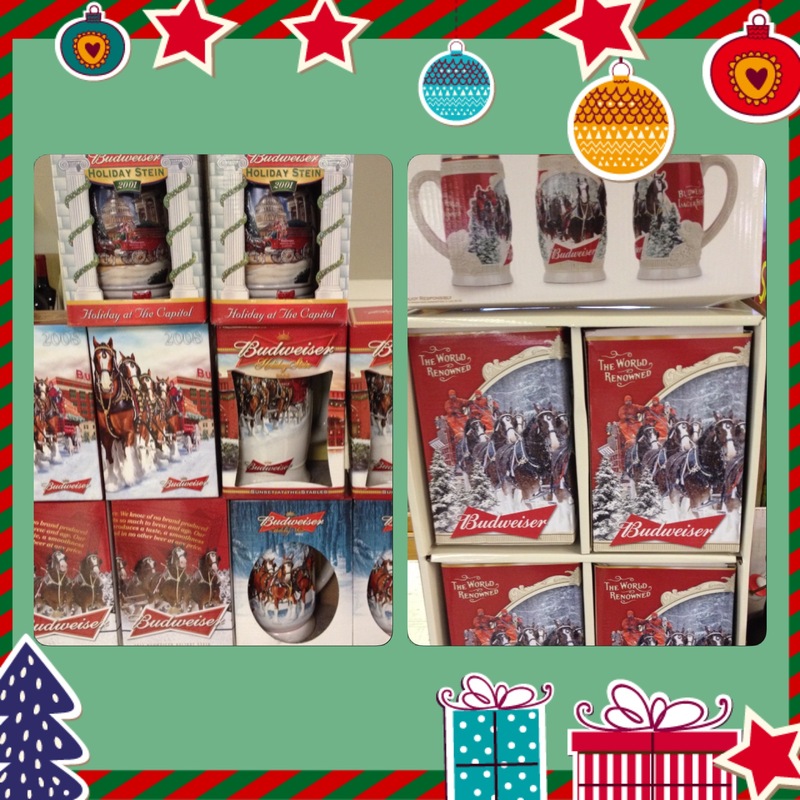 Looking For A Holiday Gift? With these products and foods, though, you can keep on experiencing your favorite brews throughout the day. 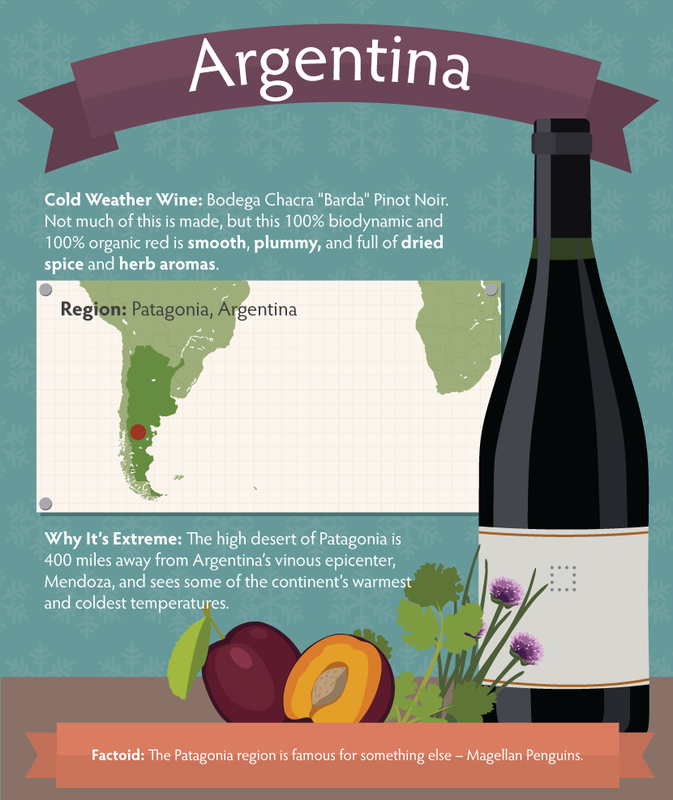 Mencía (“Men-thee-ah”) is a medium-bodied red wine grape that produces high quality wines with floral and red fruit flavors. 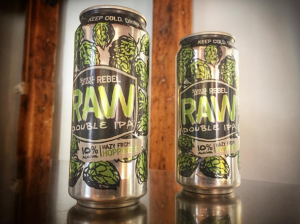 Boston Beer’s newest creation, Rebel Raw – a hazy, 10 percent double IPA clocking in at 100 IBUs – has finally hit retail shelves. Flying with a bottle or two of your favorite vintage is easy (and disaster-proof) if you keep these tips in mind. 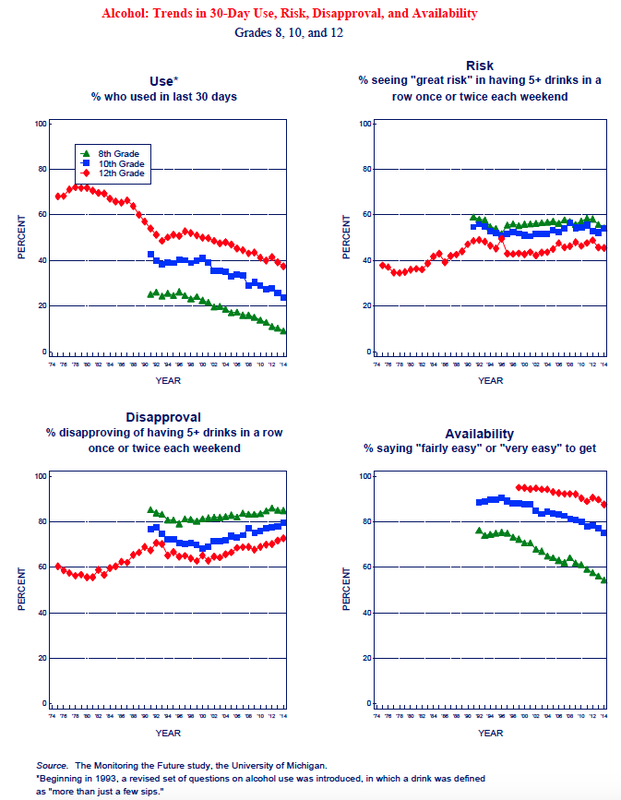 Why does it feel like the effects of drinking are so much worse post-40? A list of the trends we believe deserve watching. 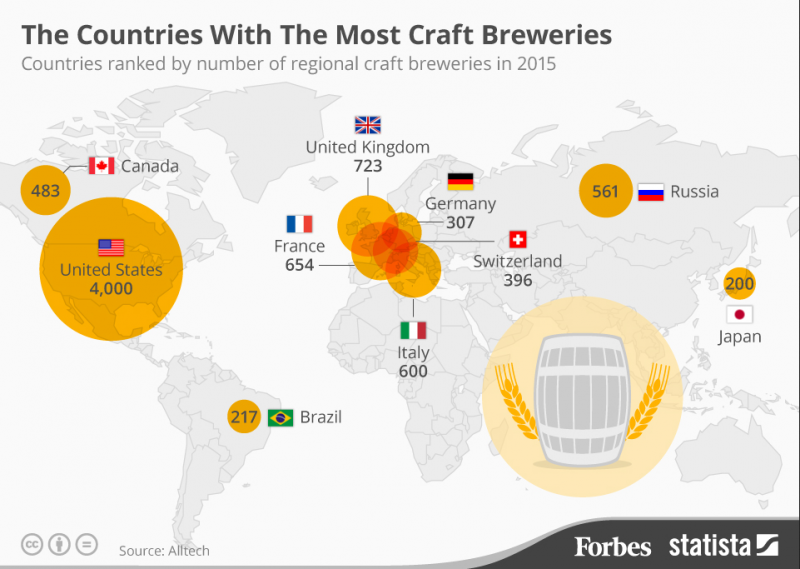 Global growth potential for craft brew is crazy big! 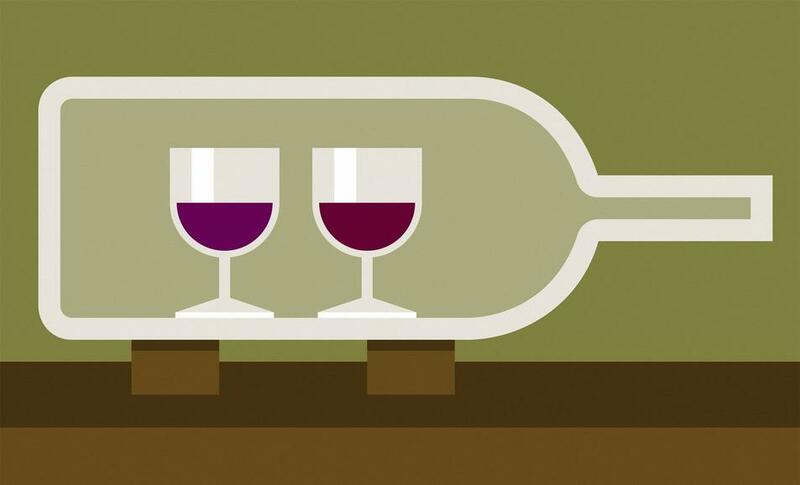 Here are the top 9 places to buy wine. Simply saying that some wines are meant to be consumed young is just as easy as saying that some wines improve with a few years—or decades—of cellar aging. 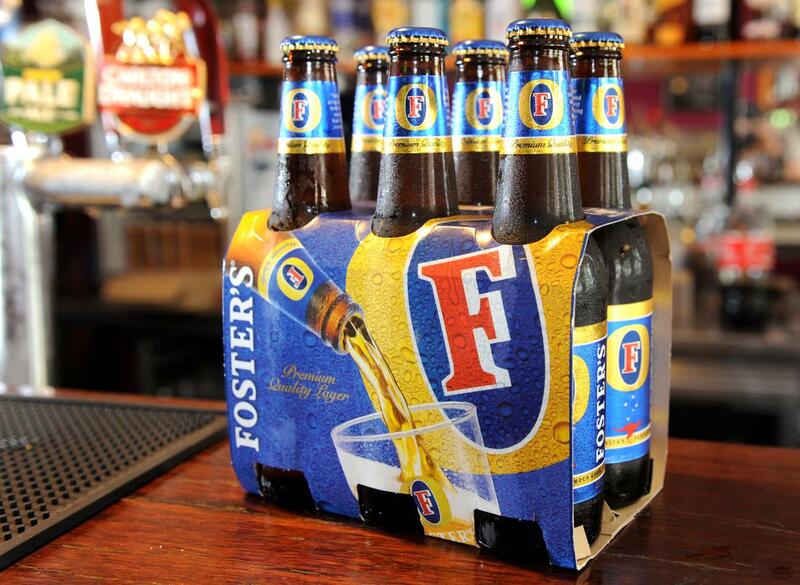 A New York man has sued Miller Brewing Co. over Foster’s beer not being brewed in Australia. 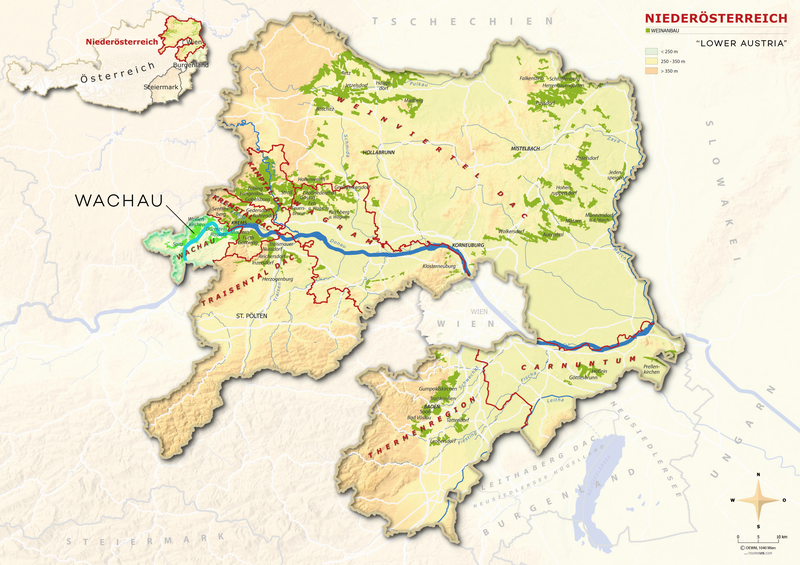 Named to the UNESCO world heritage site list in 2000, the Wachau region in Austria is deservedly one of the spectacular winemaking regions of the world. E.&J. 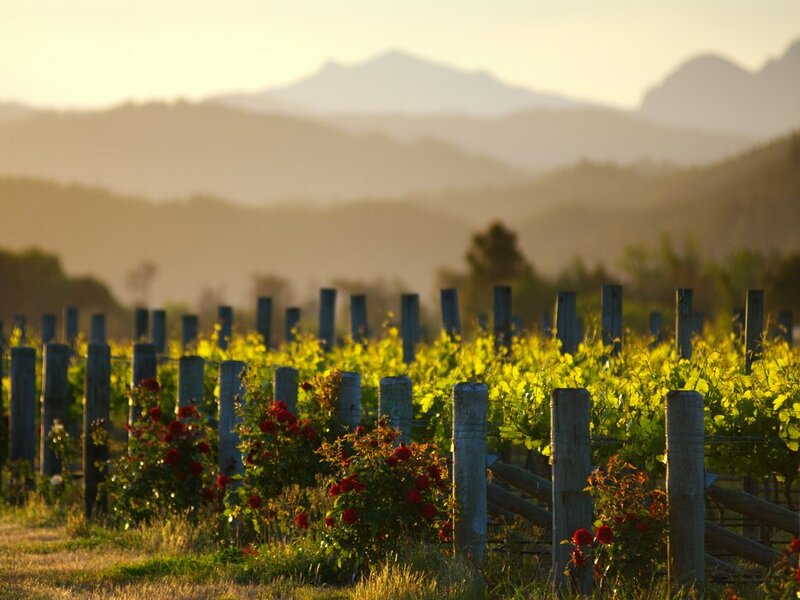 Gallo Winery has agreed to acquire The Ranch Winery, a custom crush winery in St. Helena, California, located between Highway 29 and the Silverado Trail. 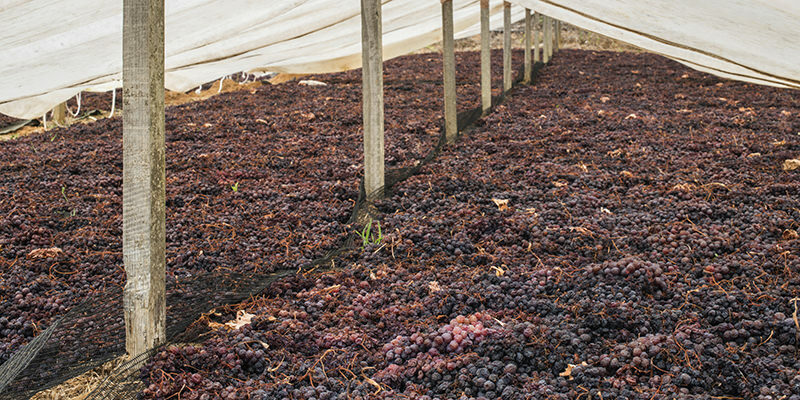 The facility spans more than 70 acres and has a grape crush capacity of 30,000 tons. It also has 4.6 million cases of bottling capacity and 8 million gallons of storage space. The Ranch is one of the biggest facilities of its kind in the Napa Valley. With land-use laws making it virtually impossible to build new wineries in Napa, this deal represents a major coup for Gallo. Gallo’s existing Napa Valley wineries, Louis M. Martini and William Hill, have a combined capacity of 15,000 tons. 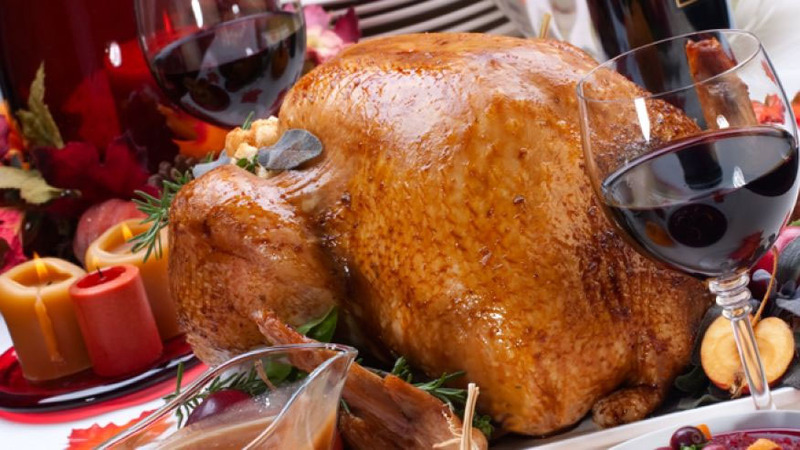 This deal now brings Gallo’s total Napa presence to 45,000 tons. “With this acquisition, our capacity in Napa will now triple,” Nabedian noted. The Ranch was originally a Trinchero winery used largely for production of White Zinfandel during the 1980s. The facility was acquired by an investor group led by Napa winemaker Joel Gott in 2007, and it has since been used as a custom crush facility for boutique winemakers, including Gott himself, who’s been both a stakeholder and client. 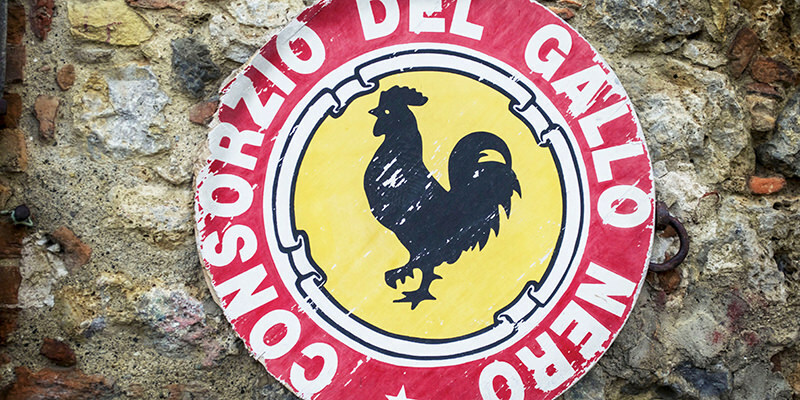 Gallo will honor all existing production contracts at The Ranch. The facility will continue to serve as a custom crush facility in addition to handling some Gallo capacity, but it’s clear that the longer term objective is to utilize The Ranch for Gallo’s own expansion plans in Napa, which will occur through organic growth and possible future acquisitions. 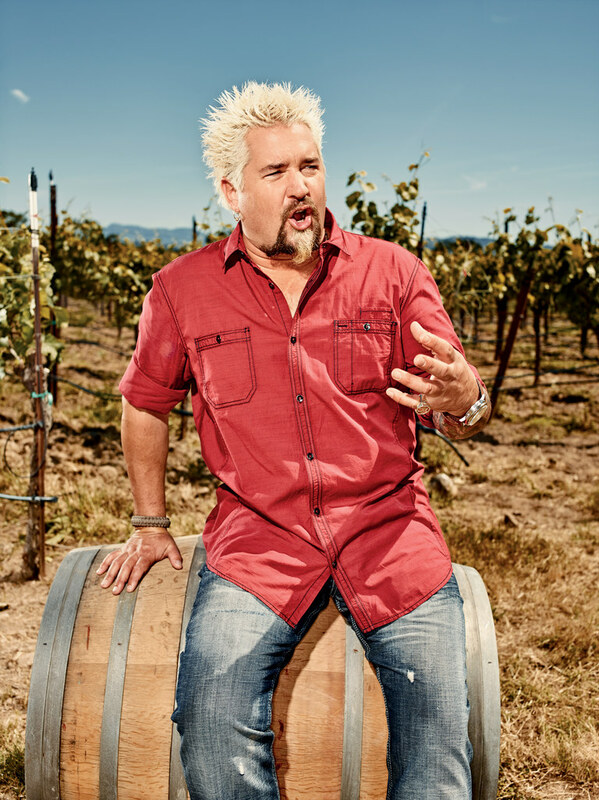 With this deal, Gallo will now own 15 wineries throughout California and Washington. Much of what we see, taste and drink in a quality bottle of bubbly is a by-product of the geology, physics and history that went into making Champagne in the first place. Whether you’re a craft veteran or new to the world of felt, hot glue, and so many buttons, we’ve got the holiday wine craft to get you in the spirit. 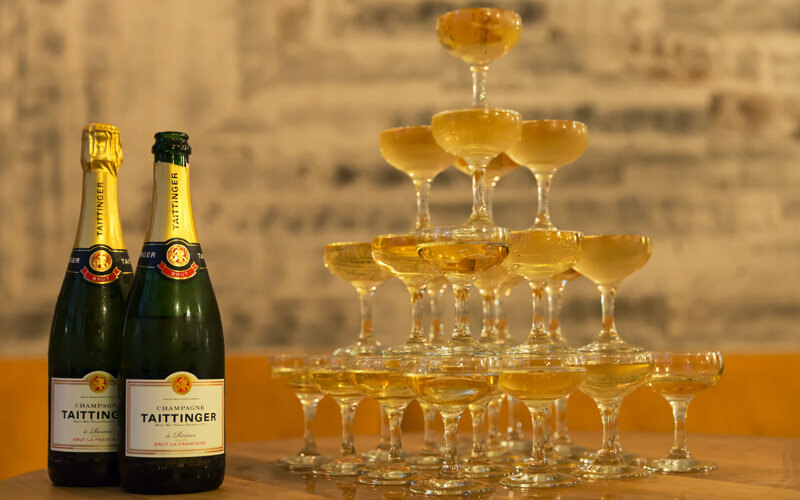 There is nothing wrong with Champagne, unless of course you happen to be on a budget. 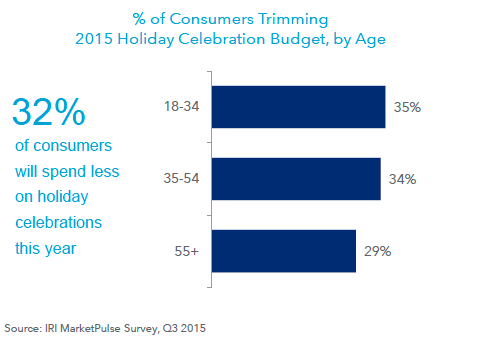 Holiday Spending: 1/3 Will Spend Less Than 2014. 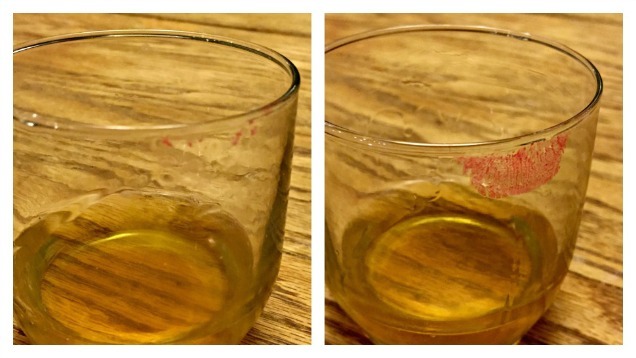 How Do Wine Beer, Spirits & Make Out? Festive drinks don’t always need to fit the thick, sweet and creamy taste profile, as this list of the top 10 cocktails for Christmas shows. The next Game of Thrones beer by Brewery Ommegang has been slated for release next spring. How could a single bottle of beer cost so much? Google has released top searches for 2015 — and this year, recipes, cocktails and beer earned their own category distinction for being most-searched. Mark Interviewed In This Article! Bone up on why “The Black Stuff” is the most awesome stout ever poured. 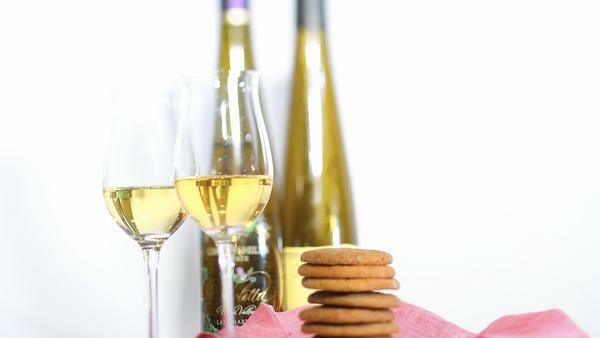 As an alternative, how about a dessert wine that you can sip on its own as dessert — or pair with something that’s not quite so sugary? Looking to destroy the competition at your office party? Outfit yourself in one of these spiked sweaters. Santorini is famous for its sunsets but it is also known for its wine. You can forget about Christmas shopping because there’s only one gift your loved ones will want this year. 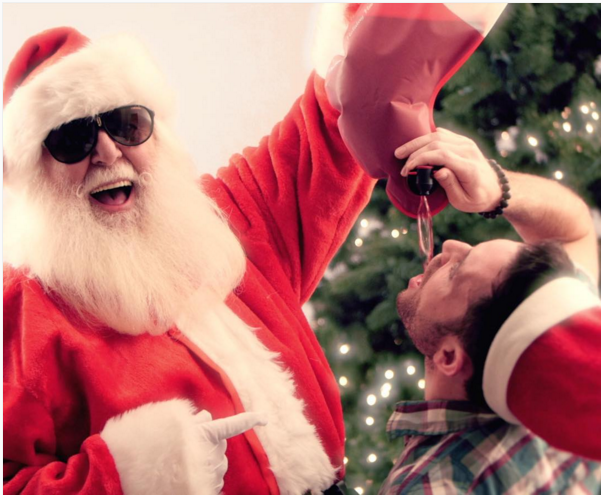 It’s called Santa’s Flask, and it’s basically a more durable Franzia bag adorably shaped like a stocking for maximum consumption and holiday cheer. 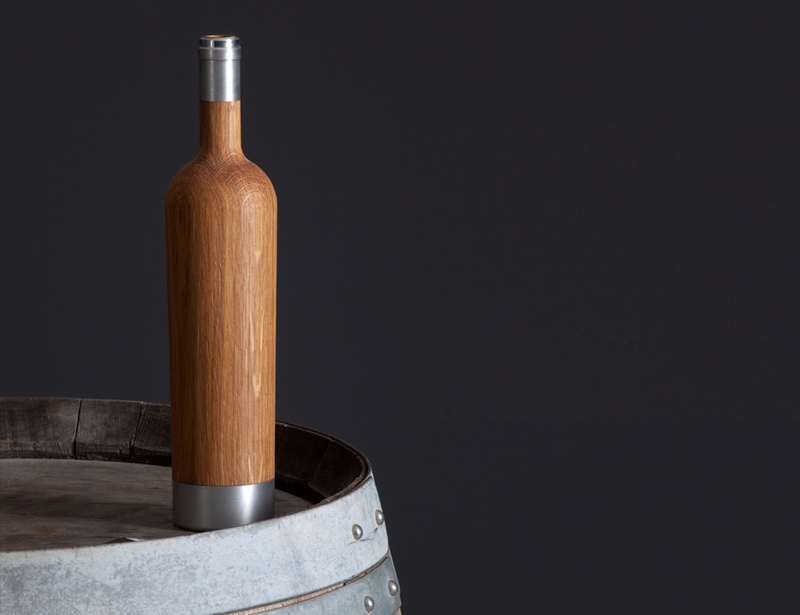 There are some insanely talented artisans and craftspeople on Etsy who are making some fantastic recycled wine things. 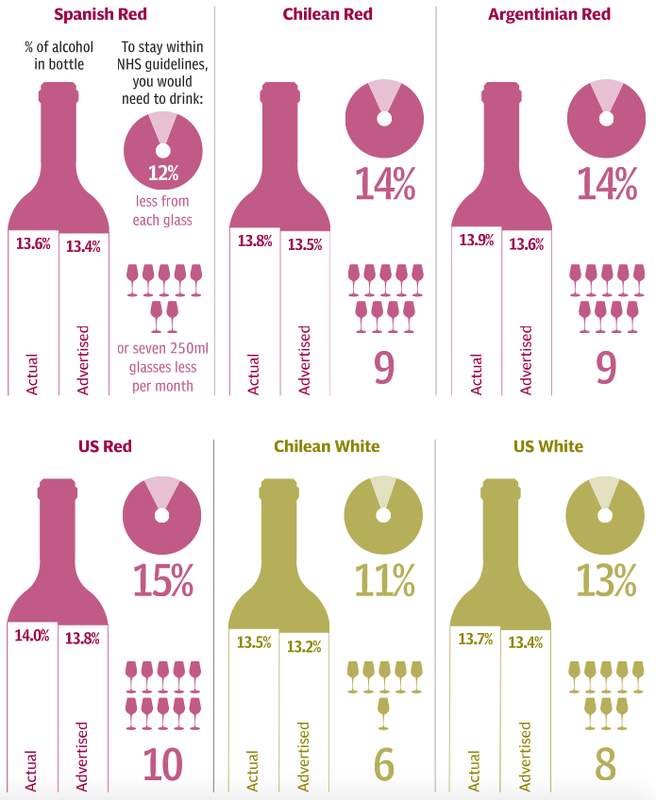 Treasury Wine Estates has become the first major wine producer to commit to including calorie information on all of its wines. Ever wondered how Champagne baskets are made? Watch the whole process here! 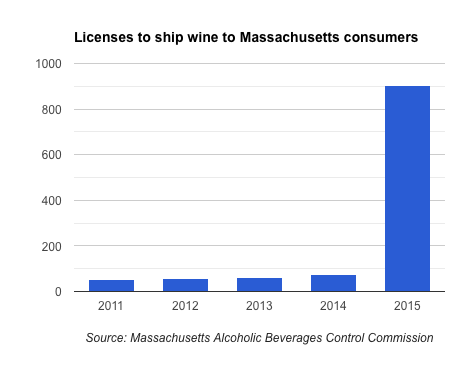 Among the skeptics are some current liquor license holders, who have argued that a flood of additional licenses could threaten their businesses. One of things that is great to know is how to taste the wine of your choice properly. This is a goal that when you start to drink wine, it should be a task that advances throughout your whole life. Want to be a food connoisseur of the world? 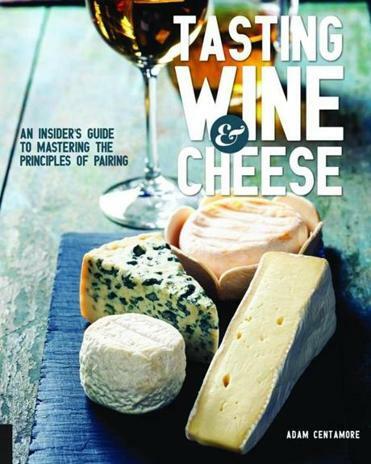 Cheese and wine knowledge can take you pretty far. 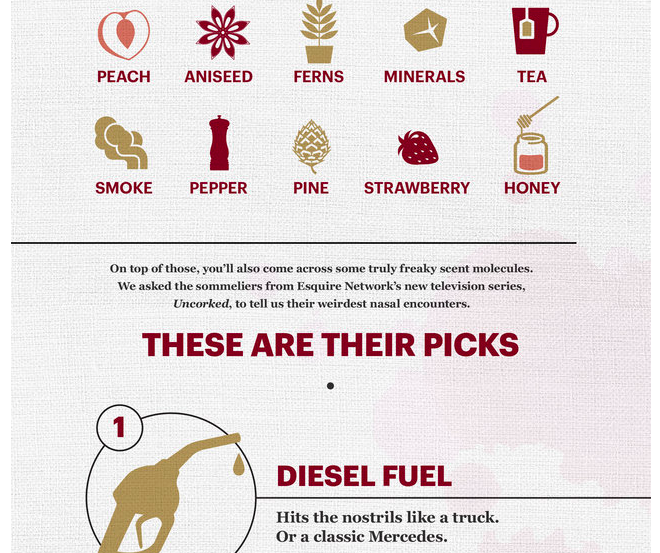 Just use this handy infographics to make a pairing that gets noticed. The Napa Valley has received a ‘Certification Mark’ from the US Patent and Trademark Office – the first of its kind for a winemaking region in the US. Whisky Advocate has named Hibiki Japanese Harmony as its Japanese Whiskey of the Year. Part of the Beam Suntory portfolio, Hibiki Japanese Harmony is 43% abv and retails at $65 a bottle. Whisky Advocate is announcing its annual award winners one day at a time on its blog, culminating with the naming of a Lifetime Achievement honoree on December 15 and the Distiller of the Year announcement on December 16. 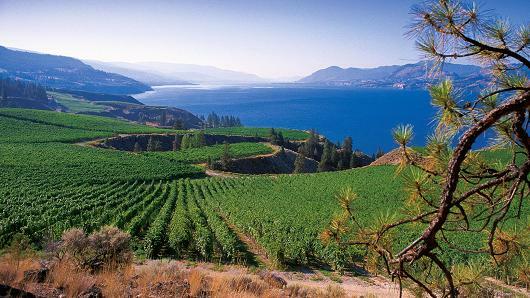 We will take a day-by-day look at each of the four Northwest wine regions and their respective sparkling wines. 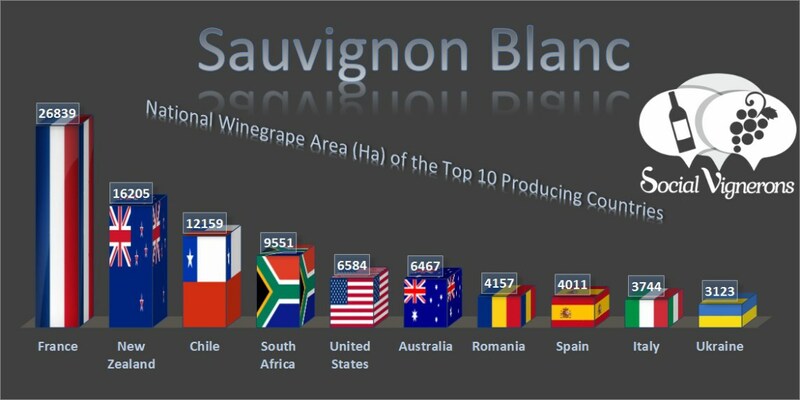 Sauvignon Blanc is one of the most famous white grape variety in the world producing one of the most popular style of fragrant white wine. 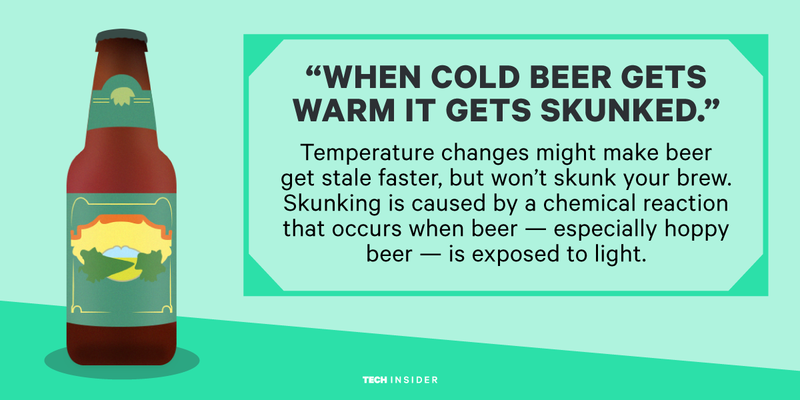 Turns out, beer is more versatile than we might imagine. Climate change could spell trouble, but the best vintages may lie ahead. Hard cider has always faced an uphill battle for attention, one that has required entrepreneurs in the space to convince both consumers and retailers that fermented apples should be on the menu. 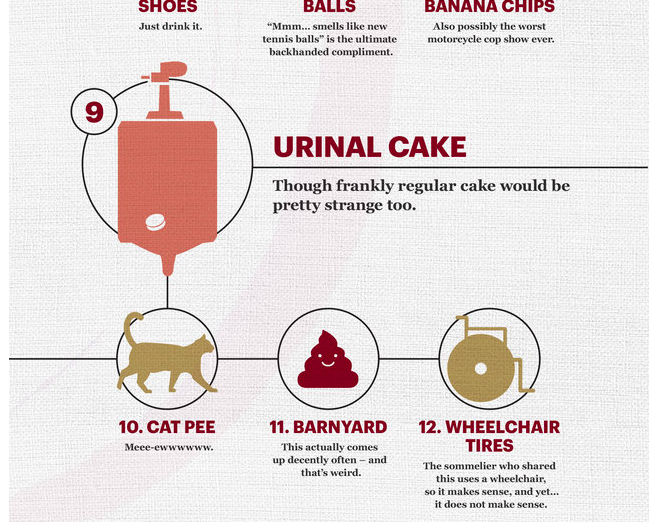 Here are the 9 most common. 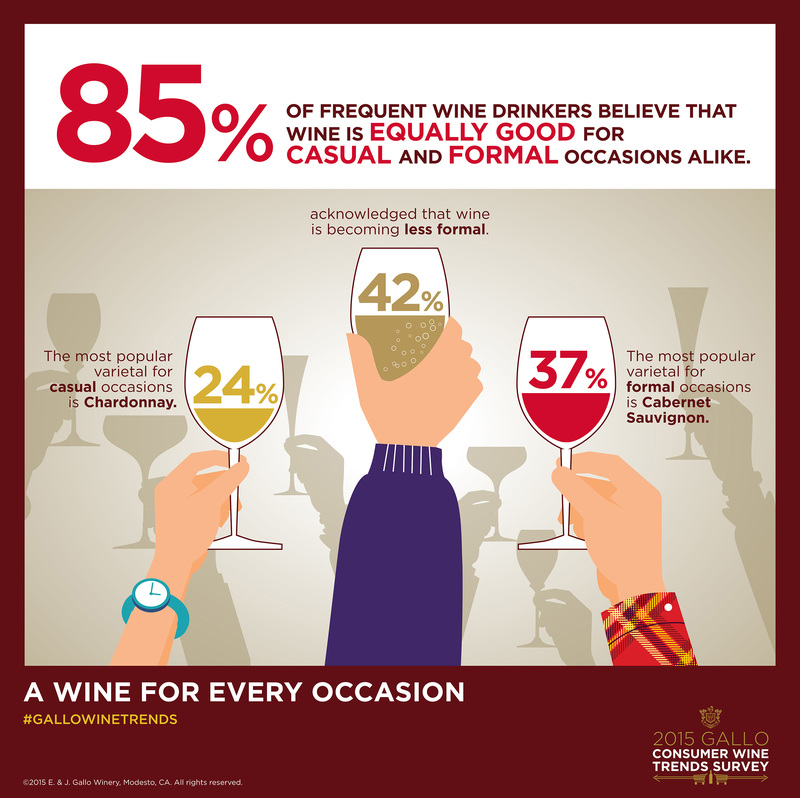 The 2015 Gallo Consumer Wine Trends Survey, commissioned by E. & J. Gallo Winery, found that 85 percent of frequent wine drinkers now believe that wine is appropriate for casual and formal settings alike. 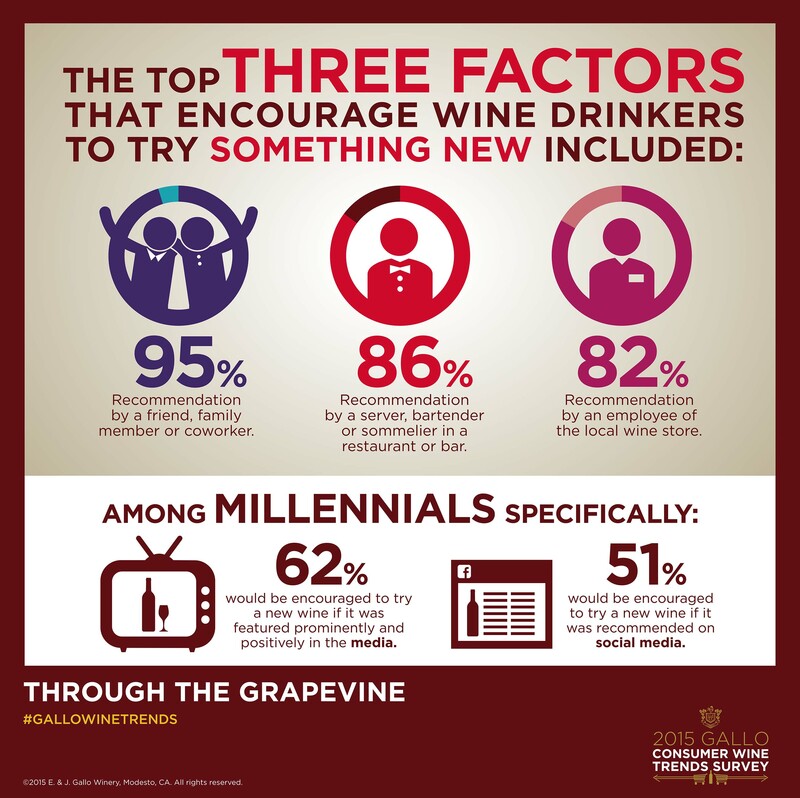 The survey of 1,000 frequent wine drinkers between the ages of 21 and 64 is a follow-up to the 2014 survey of the same name, which aims to capture the current state of American wine drinking attitudes and behaviors. 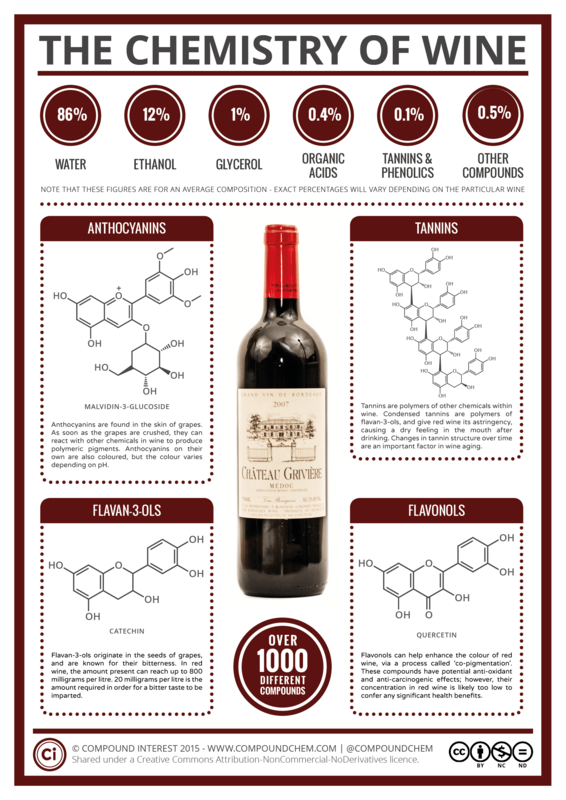 What is acidity in wine and how does one taste it? Classic Imports, a subsidiary of Massachusetts-based distributor Martignetti Companies, is set to add the brands of Maine Distilleries to its portfolio. The 10-year deal will see Classic Imports distribute the distiller’s Cold River Vodka, Blueberry Vodka and Gin, which are created from potatoes grown at Green Thumb Farms in Fryeburg, Maine and triple-distilled in a copper pot still. The Maine Distilleries lineup will be available nationally, with the Cold River vodkas retailing at $34.99 and Cold River Gin at $27.99. 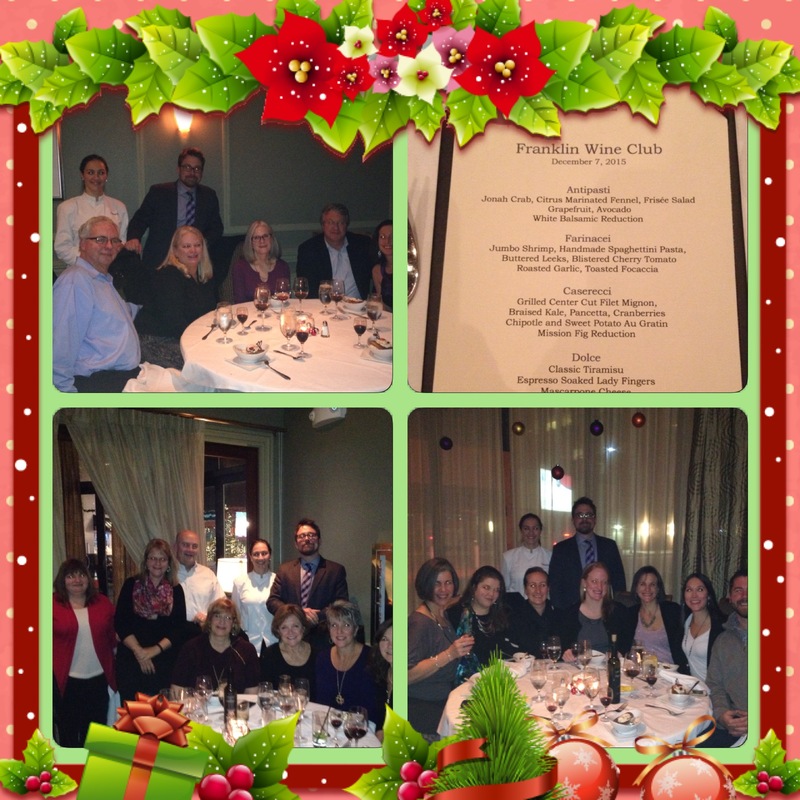 We Are Ready For The Holidays! 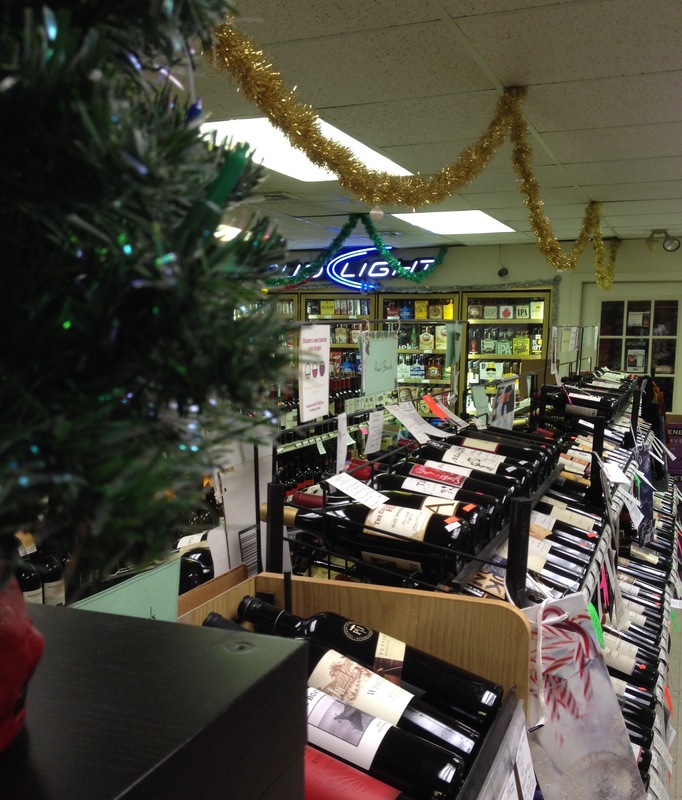 Stop In And Let Us Help With That Special Wine Gift. 2015 Bud Steins Are Here! Reading well-written books about wine is the next-best thing to drinking it. 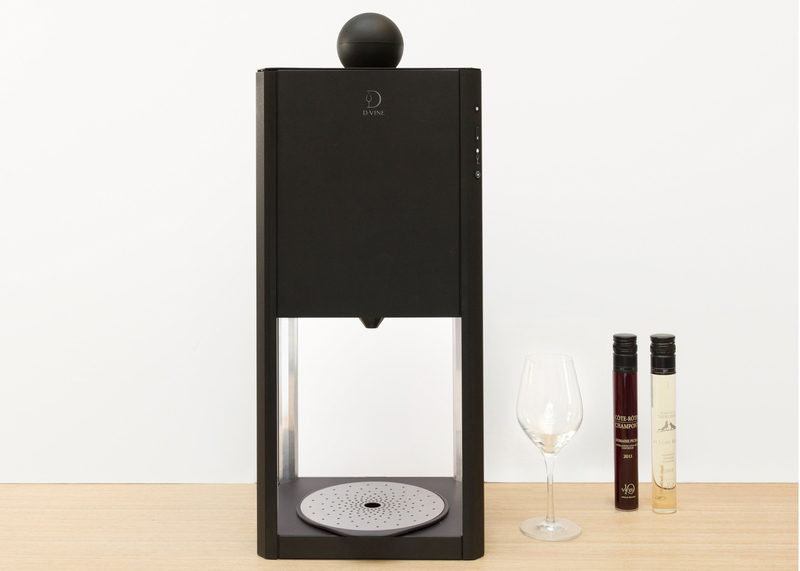 French designer Constance Guisset has created a machine that automatically aerates and adjusts the temperature of individual glasses of wine. Let’s start with the basic guide to satisfying that primal need to seek out a hunk of lactic protein and a cold pint. Dogfish Head’s Hoo Lawd clocks in at a palate-busting 658 IBU. 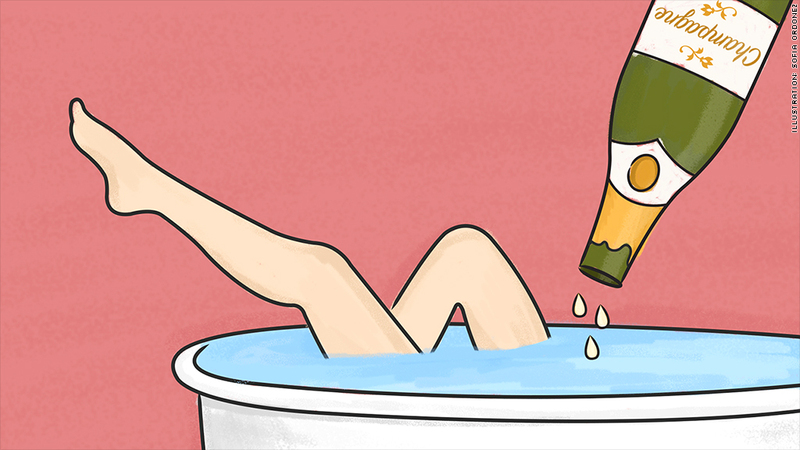 Drinking wine is one thing, but who would have thought that bathing in wine can be a good thing too? Now second only to Bordeaux in terms of trade levels on the secondary market, Italy shows no signs of slowing down. 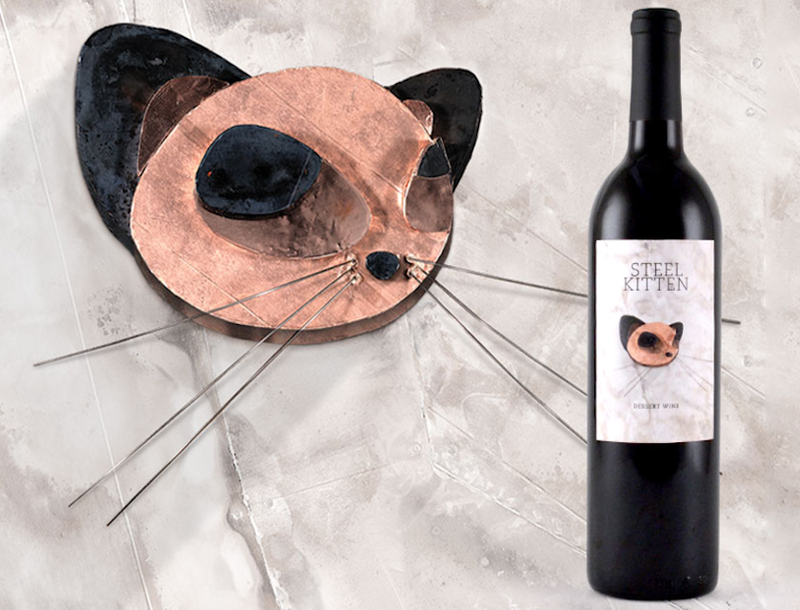 Duff Goldman’s new Steel Kitten wine, a recently released dessert wine collaboration with direct-to-winery Club W.
Police Chief John Carmichael said the money used to pay for this was provided by an annual $5,000 underage drinking grant from the state’s Office of Public Safety and Security. All locations involved were notified before the stings that compliance checks would be conducted. Their complexities unfold in gorgeous waves that echo in the mouth. In every way, they signify the sweetness of life and inspire the joy of the holidays. Boston Beer Company’s Samuel Adams brand has extended its fast-growing Rebel IPA range with the launch of Rebel Raw Double IPA. Rolling out over the next few weeks, Rebel Raw Double IPA (10% abv) is brewed with six different hop varieties and has a 35-day shelf life. The limited-edition expression will be available in 16-ounce can four-packs across Boston, New York City, Washington D.C., Philadelphia and Chicago. According to Impact Databank, the Rebel lineup—which also includes the Rebel IPA, Rebel Rouser IPA, Rebel Rider IPA and Rebel Grapefruit IPA entries—sold 2 million (2.25-gallon) cases in 2014, the brand’s first year on the market. Meanwhile, Samuel Adams has also debuted a new Sparkling Ale, brewed with a variety of Noble hops and an acidulated malt. The 4.8%-abv offshoot will be sold through December as part of the Samuel Adams Winter Classics Variety 12-Pack ($14.99-$17.99). 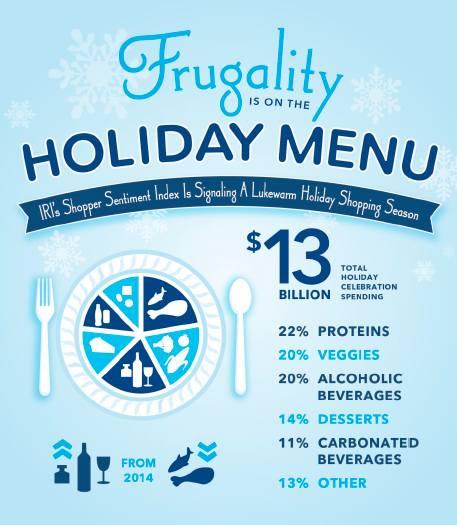 There is no industry in which shopping local and small can have more far-reaching effects than the wine industry. For those of us who enjoy the pleasures of wine, we know this time of year is much easier to endure with a glass of wine in hand. But don’t take our word for it, listen to these hilarious memes instead. Ideally you want to get into a whiskey bottle, not spend all your time reading it like a cereal box. It’s the same problem every year: you have a certain someone on your gift list who has everything. By 2025 there will be 109 million wine drinkers in the US, up from 93 million today, according to a new report from Wine Intelligence. 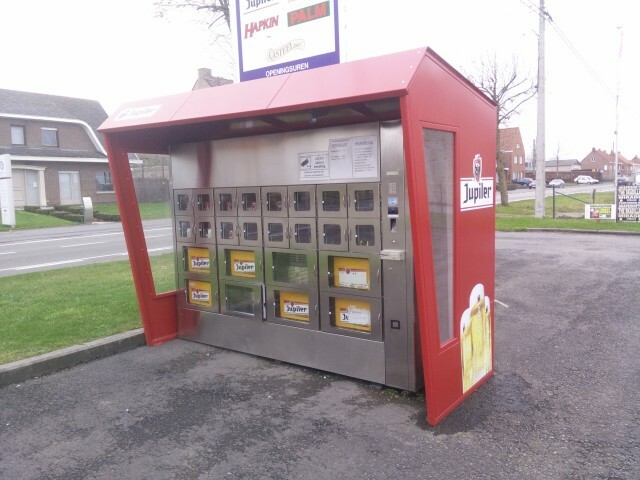 While vending machines are now a staple sight everywhere from hospitals to schools and offices, we’re pretty sure you’ve never seen one like this before (unless you’re Belgian, of course). 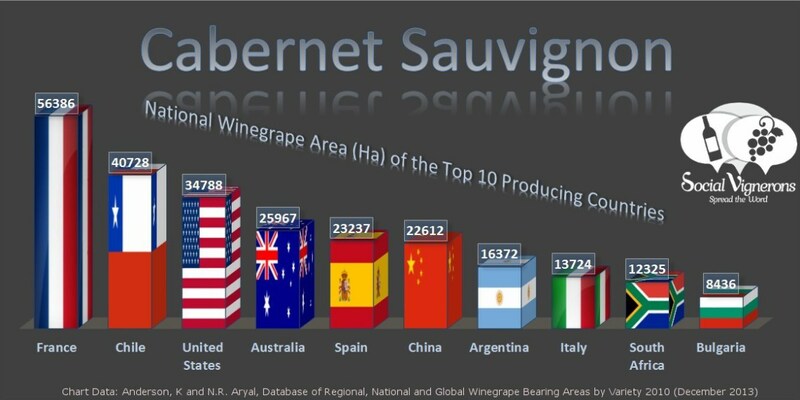 Cabernet Sauvignon is probably the most famous red grape variety in the world and is the backbone in many of the world’s most expensive wines. 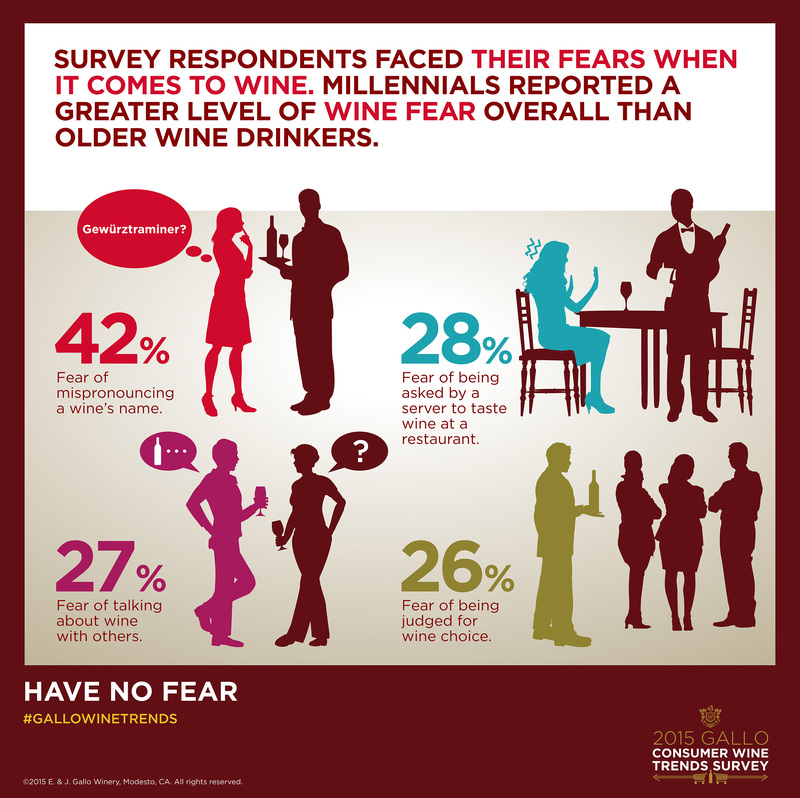 Wine professionals are fascinated with what gives the drink its distinctive character. The ability to distinguish individual flavors and aromas, with precise detail, has become all the rage among connoisseurs. Geek Speak: What is Infusion? I continued to encounter the phrase, “I make wine more by infusion than extraction.” But what does it actually mean? 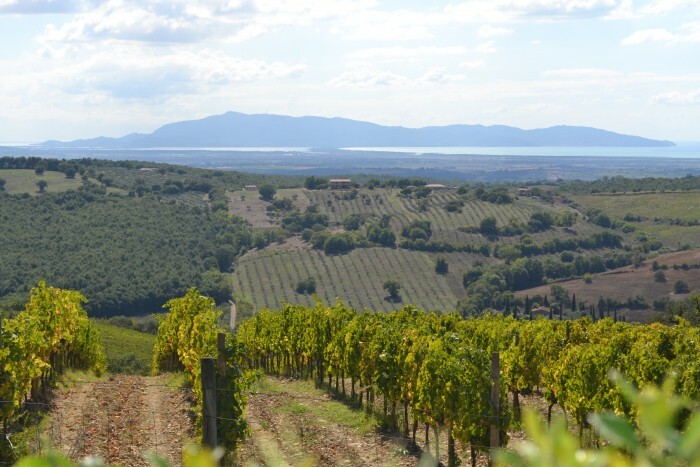 For many, Sangiovese and Tuscany are practically synonymous. But, while Chianti and Brunello immediately spring to mind, the less familiar Morellino di Scansano offers equally enjoyable wines by another name. WHAT IS GROWER CHAMPAGNE…AND WHY DO WINE GEEKS LOVE IT? 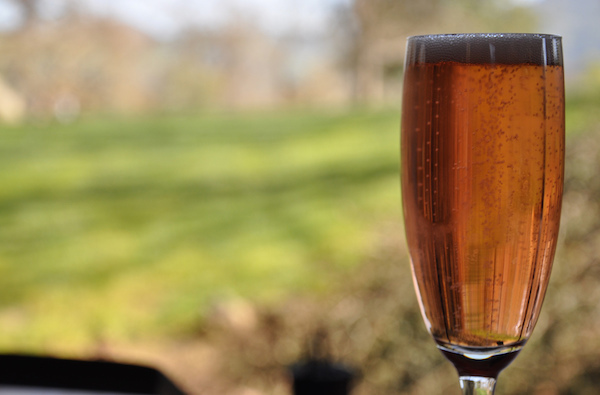 Should grower champagne matter to you? There are now 4,144 breweries in the U.S.
From easy-drinking session beers to expertly hoppy IPAs, these are the 25 beers that define 2015. Why do you get a headache after drinking red wine? 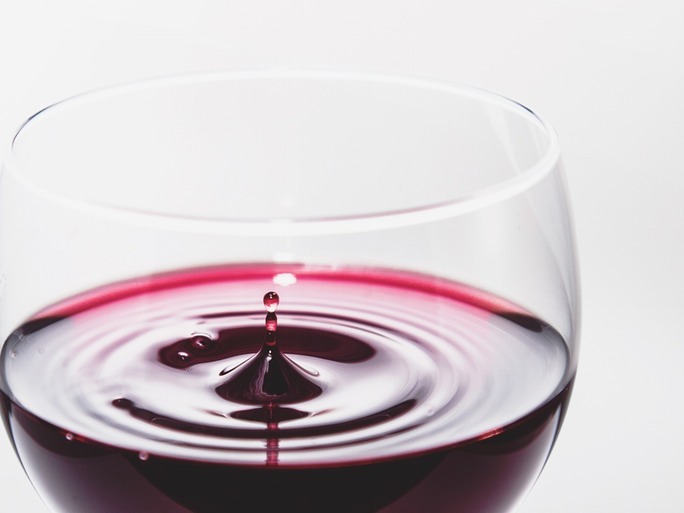 A likelier suspect for red wine headaches is histamines, biological compounds found in grape skins that are 20 to 200 percent more likely to be in red wines than in white wines. 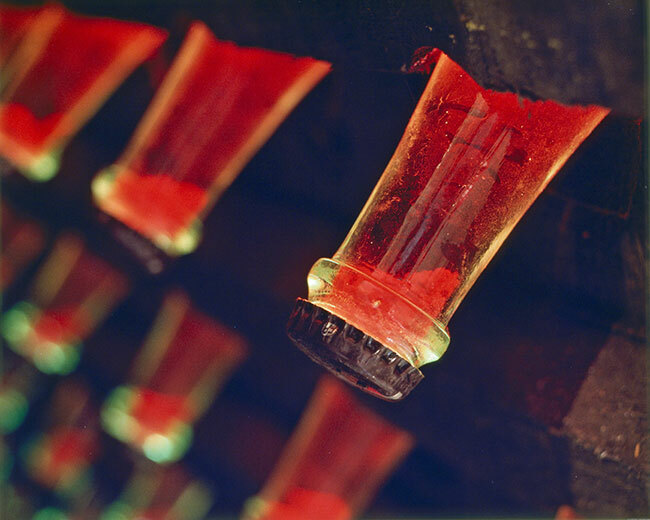 Demand for Maker’s Mark continues to grow strongly—increasing 7% to 1.34 million cases in the U.S. last year, according to Impact Databank—and the distillery has been trying to keep pace. A second set of stills, a new artificial lake for secure water supply, new warehouses: it’s been busy outside of Loretto for the past 10 years. Whisky Advocate has an update on Maker’s expansion. The effects of climate change and the subsequent warmer weather have a positive influence on Sangiovese, believes one Tuscan winemaker. One of the great things up here is that in summer we get 18 hours of sunlight per day, which is actually 3 hours more than Napa. 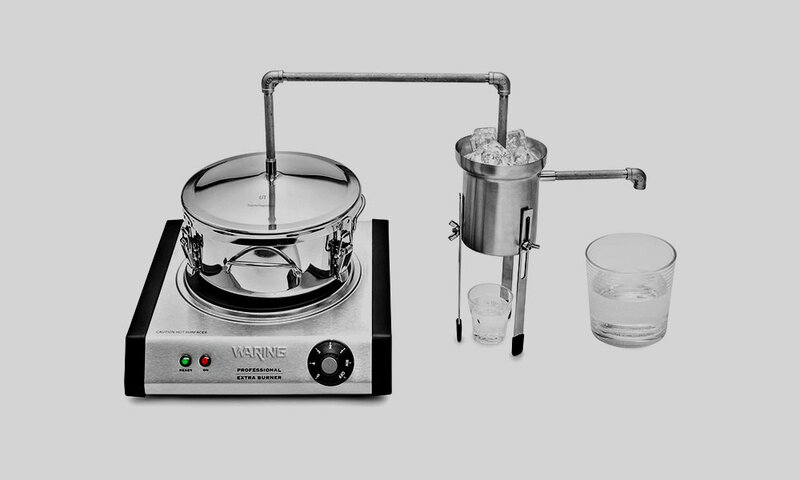 Still from TableTopStill can’t deal with the whole “government prosecution” thing, it can help you convert 1/2 gallon of wine to 7oz or hard alcohol, or a 20% alcohol solution (like mash made from yeast) to 12oz of hard alcohol in a safe, easy to use way. While making your own spirits at home is a noble task with fantastic benefits, you should know that United States Federal law “strictly prohibits individuals from producing distilled spirits at any place other than a TTB (the agency formerly known as the ATF) qualified distilled spirits plant.” Proceed with caution. 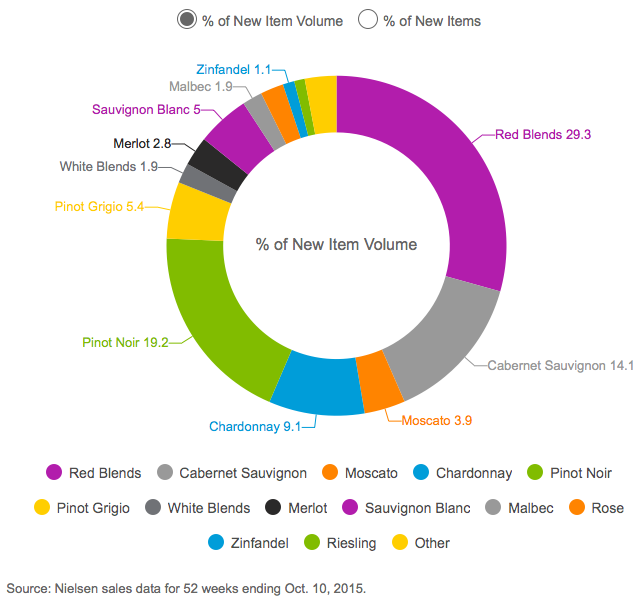 Three companies alone represent more than half of case sales of wine in the U.S. There may be 8,287 wineries in the country today, but just 30 of them represent almost 90% of the domestic wine sold annually in the U.S. by volume. Orange wine is a bit of a misnomer because it isn’t referring to a wine made with oranges nor is it a Mimosa cocktail (a blend of 1 part orange juice to 2 parts sparkling wine.) Orange wine is something entirely different. We’ve been drinking alcoholic beverages for 8,000 years. So isn’t it time for some real innovation? 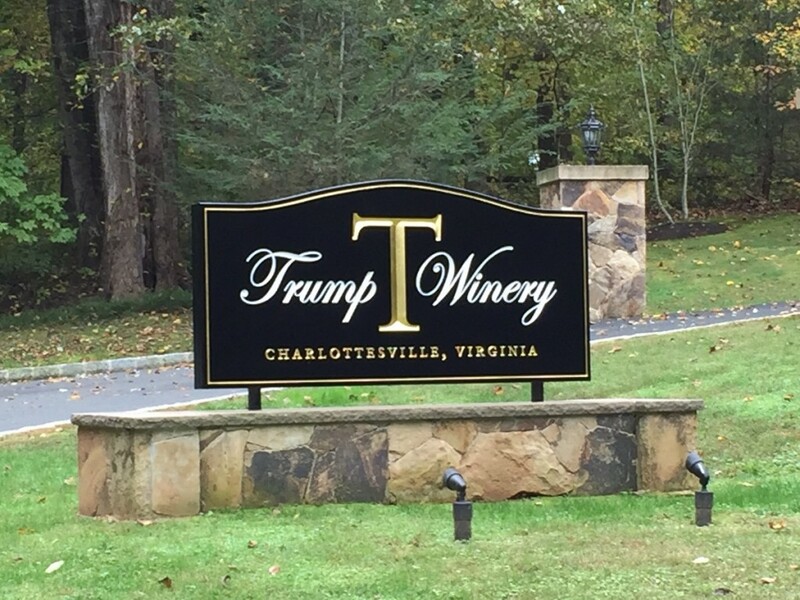 Trump Winery gets closer than Thomas Jefferson did to achieving Jefferson’s dream of a Virginia wine that can go toe to toe with the likes of Chateau Latour. 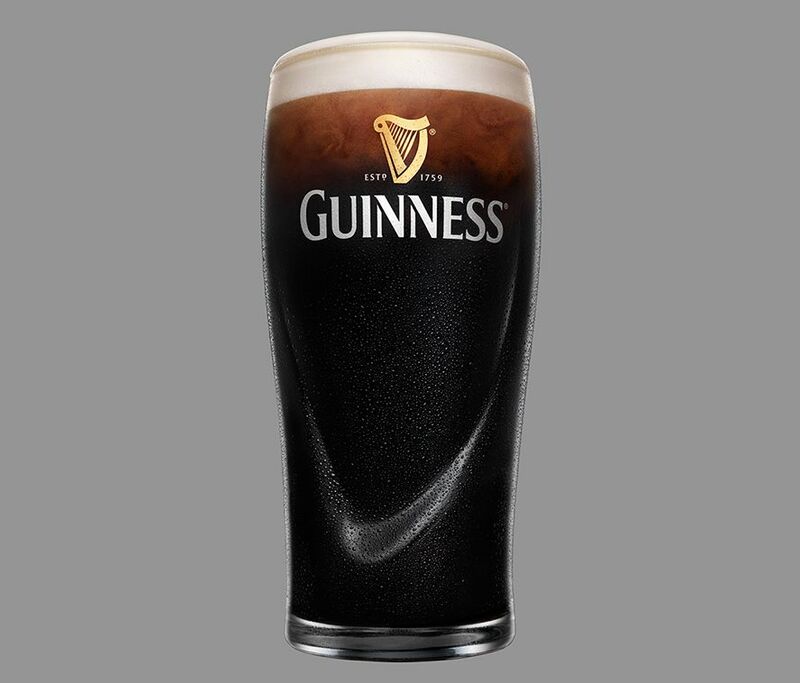 First it was “points” that came under fire and more lately it has been the “tasting note” itself that has been treated with skepticism, and indeed, cynicism, from those who would protect us from opinion other than that the oh-so-reliable kind found for free by way of social media. 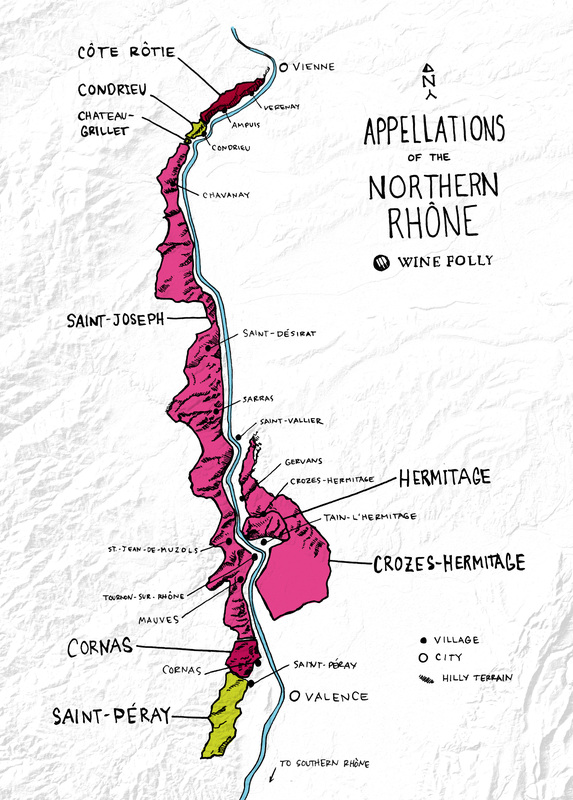 As global wine tastes continue to shift towards brighter and drier, what is to become of the storied regions defined throughout history by sweeter, heavier wines? Zachary Sussman explores how the makers of port, Sauternes and Tokaji are adapting to a new wine world. Whisky expert Jim Murray has named Diageo’s Canadian whisky Crown Royal Northern Harvest Rye as latest World Whisky of the Year, once again omitting to include a single Scotch brand in his top five. 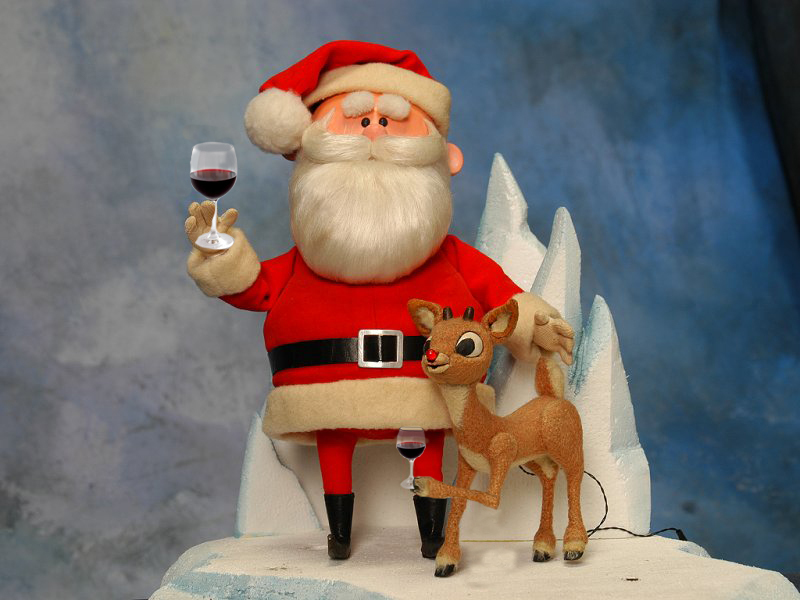 This time of year you’re bound to encounter the holiday wine snob, that person who seems to know it all about vino. Is there a strategy that can help them make an instant—and correct—decision? The end of the wine business as we know it? Portland, Maine’s Peak Organic Brewing Company is rolling out its Winter Session IPA, a dry-hopped dark wheat ale blended with Citra hops. 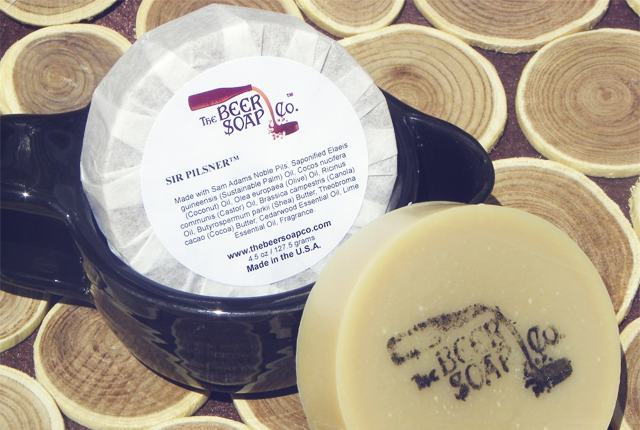 The company sourced its wheat from local farms and used organic hops in the brewing process. Winter Session Ale will be available nationwide on draft and in package format through January 15. Peak Organic brews 24 varieties of beer, including an IPA, Fresh Cut, Summer Session, Simcoe Spring and Hop Harvest Oktoberfest, among others. 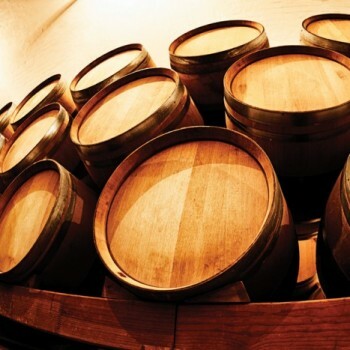 Without adding any other material like glue to the wood, the team of scientists from the university’s Centre for Timber Engineering were able to build a barrel that reduces evaporation without compromising the quality of the whisky. 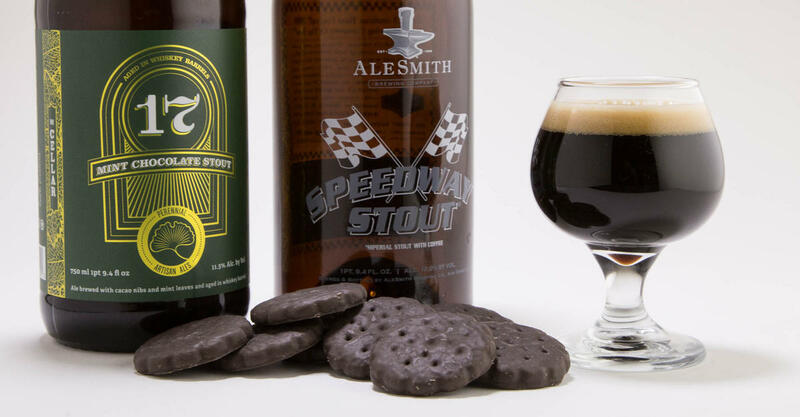 Sierra Nevada Brewing is launching a new rare beers club, in which members will receive a quarterly release of extremely limited experimental brews, made either at the Mills River brewery or the flagship brewery in Chico, California. They found he had taken two bottles of liquor. 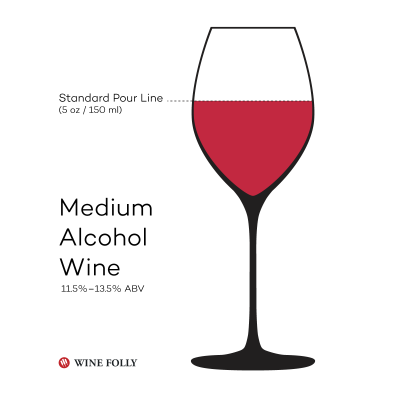 Let’s take a look at alcohol levels are in wine from the lightest to the strongest. Somerville couple who runs the business has decided to close it down. As reported by Law360, Sazerac has accused Jack Daniel’s of using Google search advertising to “confuse” consumers and “divert” Fireball sales to its own Tennessee Fire variant. 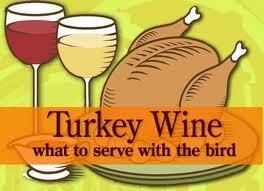 Are you thinking of buying a bottle of wine as a holiday gift for that wine lover on your list? We can help! We’ll taste through six wines in different styles, all of which will make fantastic, stress-free gift giving. 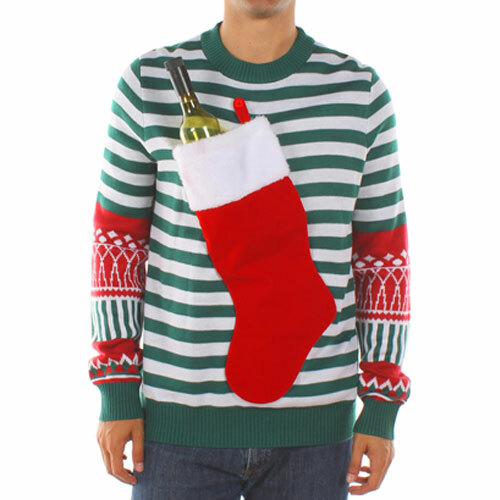 We’ll also explore other wine-related gift giving ideas. Cheese and crackers will be provided. 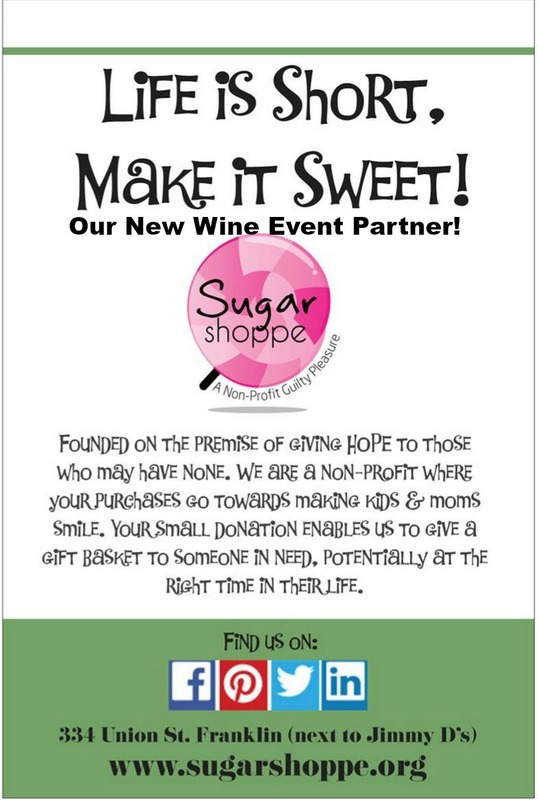 We Are Proud To Partner With Courtney Nappa And The Sugar Shoppe. 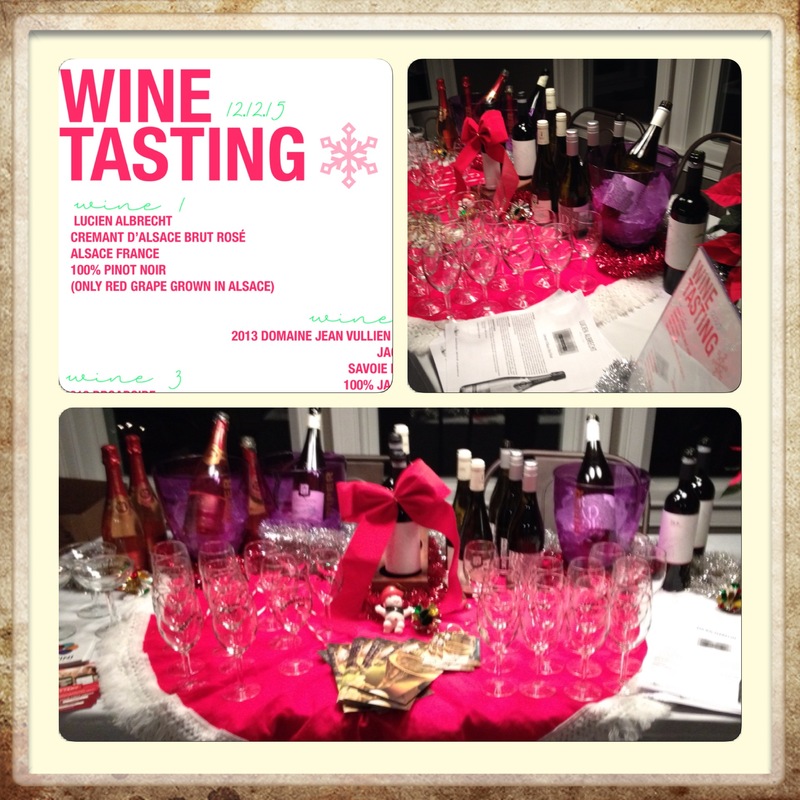 Look For Upcoming Wine And Candy Tasting Events! We Have A Few In Stock! 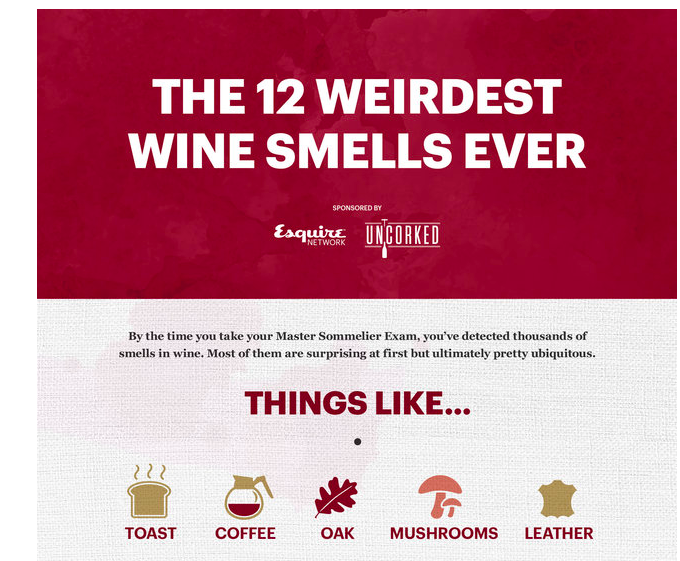 What’s the weirdest smell you’ve ever detected when you were nosing a glass of vino? Isle Brewers Guild calls itself a “partner brewery.” The cooperative is two years in the making. 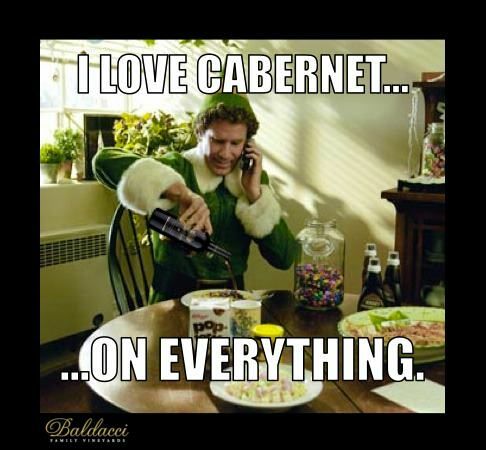 The Cabernet blend is not called KICKIN’ KAB. The path to success for any wine programme is through thoughtful, dedicated, and focused staff training. 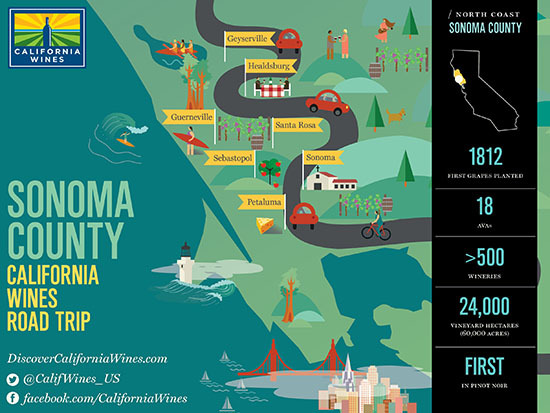 Wine Institute is helping visitors by turning the spotlight on a different region each month, highlighting where to sip, eat, drink and play. 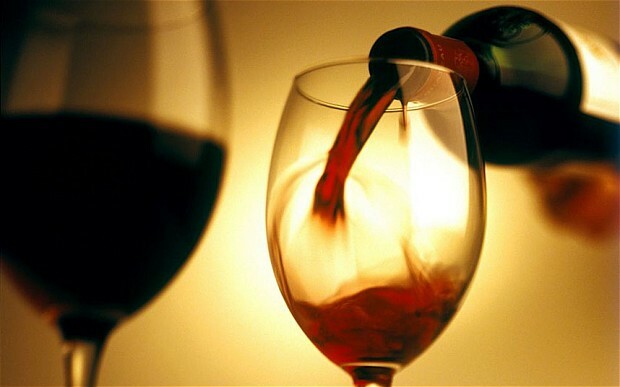 Red blends are blowing the doors off wine sales! How big is it? Constellation Brands Inc said it will buy Sculpin IPA-owner Ballast Point Brewing & Spirits for about $1 billion to enter the fast-growing craft beer market, in what will be its biggest acquisition since 2012. Every wine lover knows the cult Cabernet, but W. Blake Gray still wants answers. Vermont’s Magic Hat Brewing has re-launched its limited edition holiday brew Feast of Fools. A raspberry stout featuring notes of cocoa and dark chocolate, Feast of Fools will be available in 22-ounce bottles, as well as on draft at select accounts across the U.S. for the first time this year. The holiday entry will be joined by Magic Hat’s returning Vinyl entry, which is billed as an amber-hued lager, and Winter Mingle, a new seasonal stout featuring notes of vanilla. Both Vinyl and Winter Mingle will be available in 12-pack and 24-pack formats of Magic Hat’s Winterland variety pack, available at select grocery stores nationwide. Here you’ll find every Top 100 list from 2015 back to the debut year, 1988. 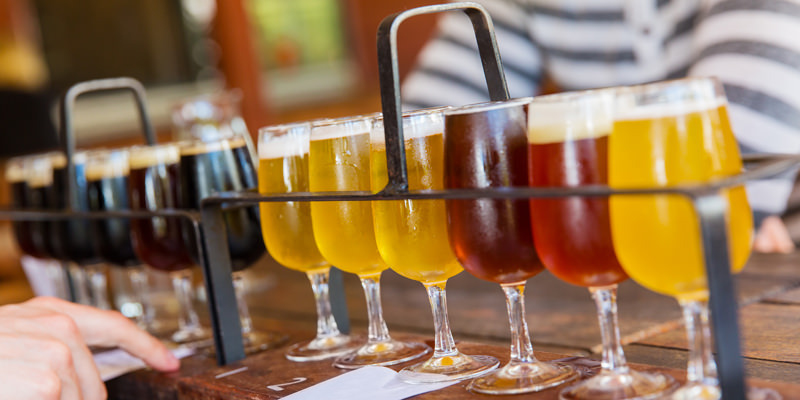 Beer is extremely food friendly (as well as cost effective), the many flavors and varieties lending themselves to harmonious pairings. Global spirits consumption is set to surpass 3.2 billion cases by 2020, with whisky volumes predicted to overtake vodka, new data has revealed. The project forms part of Diageo’s newly unveiled strategy to target growth in the Scotch whisky segment and combat the challenge posed by innovative American and New World whiskies. As reported by Stuff.co.nz, inventors of the handheld gadget hope to “revolutionise” the wine industry but cutting down two years of ageing to six months through micro-oxygenation. Washington State University have determined that seed colors don’t have the long-held impact, contrary to wine mythology. Passion is exactly what’s needed to leave a life of recurring paychecks and turn to face an arduous, entrepreneur path complete with razor-thin profit margins and grim statistics. With all the holiday parties on the agenda this time of year, you may be wondering how to balance your healthy lifestyle, stay fit and still have fun. More often than not, it’s the herbs and spices in a dish that makes a wine pairing taste so good. 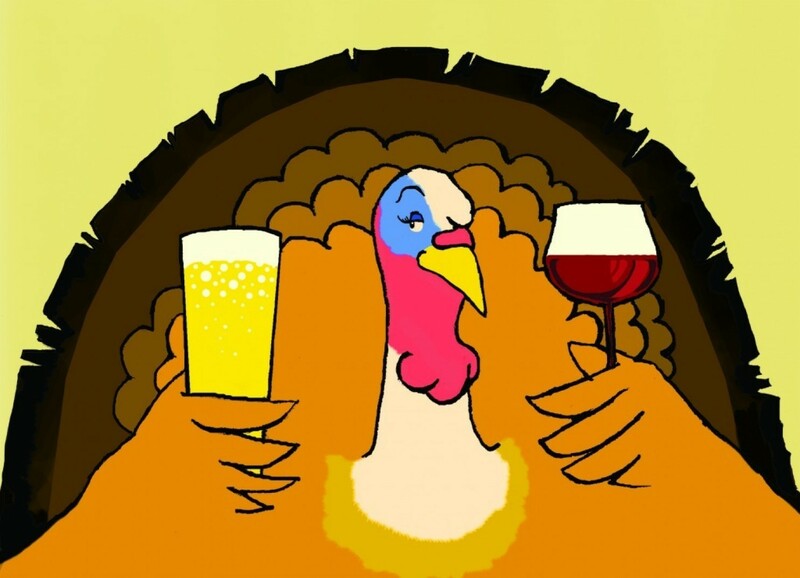 Thanksgiving is a day when no indulgence should be denied, so we present fool-proof wine and beer pairings for four common Thanksgiving dishes. 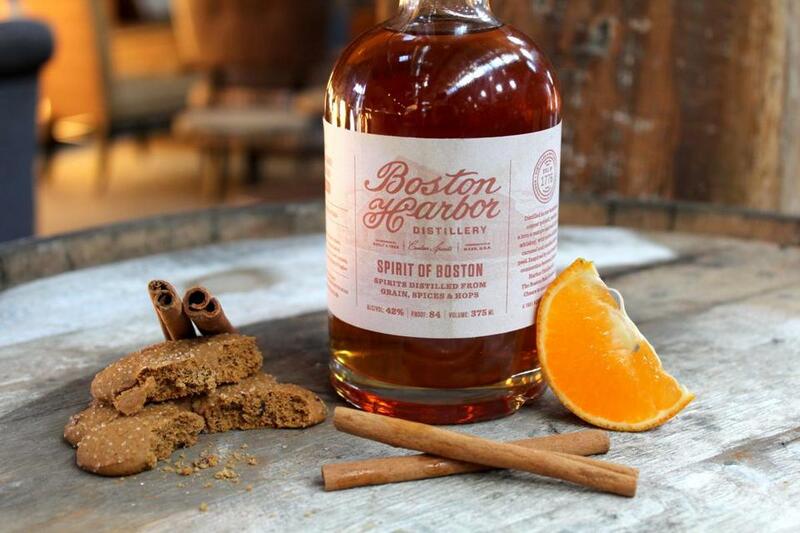 Boston Harbor Distillery, is now part of a movement trying to do for craft spirits what Samuel Adams did all those years ago for beer. Where to go wine tasting in New England. Nearly all wine dinners follow a similar format starting with lighter, more delicately flavored wines (and food) and ending with bolder, more intense wines. 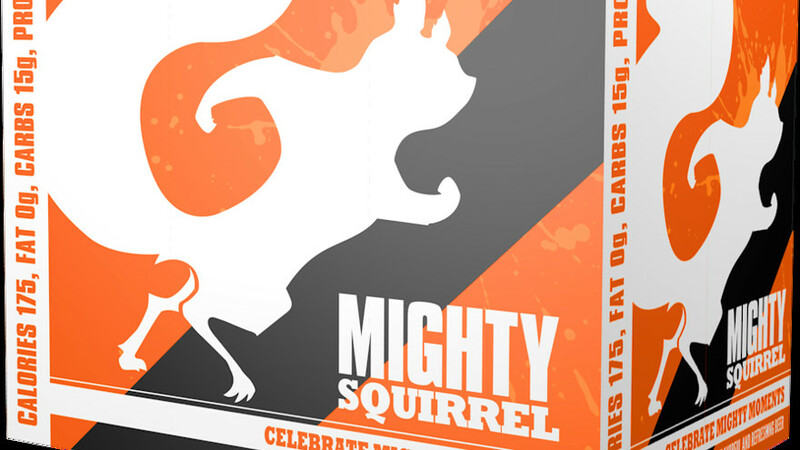 Illinois-based Small Town Brewery is following up on its fast-growing Not Your Father’s Root Beer brand with a national launch of Not Your Father’s Ginger Ale, a 5.9% abv ginger ale. The new entry is a “gruit-inspired botanical beer brewed with ginger,” according to Small Town, which is rolling the product out to about 40 states next week through distributor Pabst Brewing, with nationwide coverage expected by February. Gruit (German for “herbs”) beers are bittered and flavored with roots, spices, flowers and berries rather than hops. The company recommends that Not Your Father’s Ginger Ale—packaged in six-packs of bottles and cans ($10.99)—be served chilled over ice or in ginger cocktails like the Moscow Mule and Dark & Stormy. Smirnoff vodka “got lazy” and made the mistake of releasing a plethora of flavours that were “almost all the same” in recent years, the brand’s director has admitted. 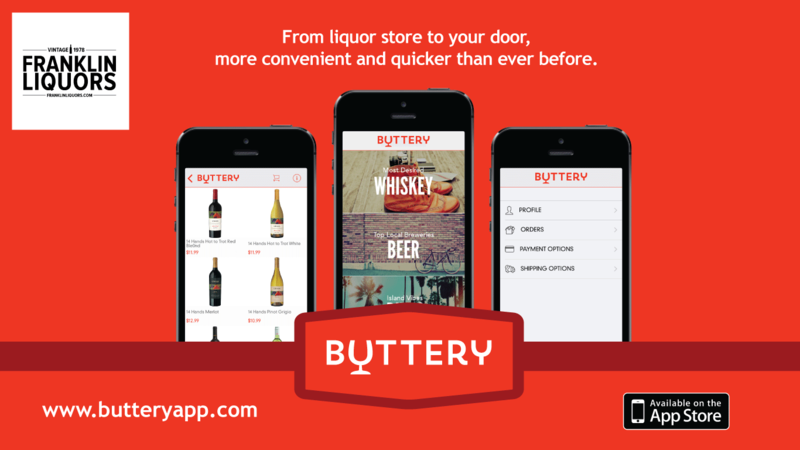 The Company also announces that it has entered into commitments to open two new large-format stores in Massachusetts and Connecticut, both of which represent new markets for Liquor Stores.